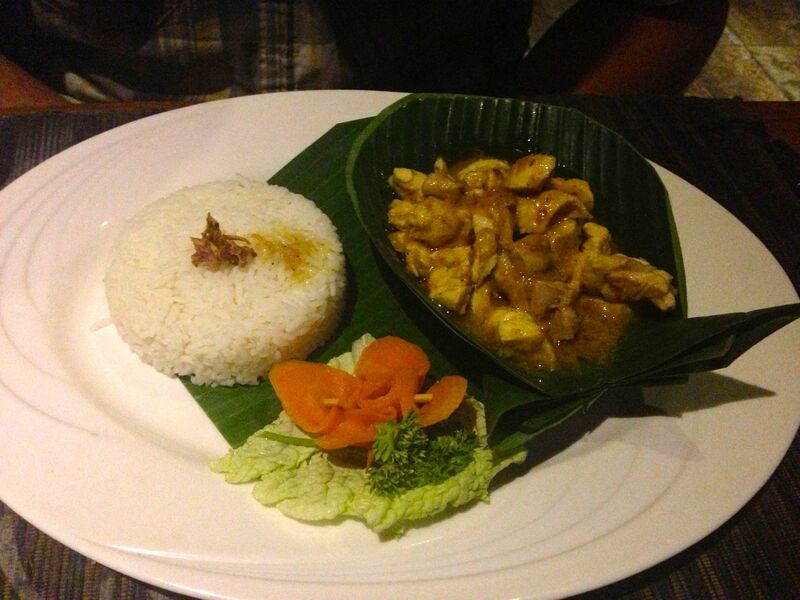 Balinese food is delicious… especially if you like rice! Our experiences in Bali showed that it is very possible to vacation in Bali and never eat Balinese food; but why would you want to do that? Sure Balinese pizza is delicious too, but if you haven’t tried the signature nasi goreng [fried rice] or mie gorging [fried noodles], with some homemade sambal [sauce, typically spicy], in my opinion, you haven’t lived. 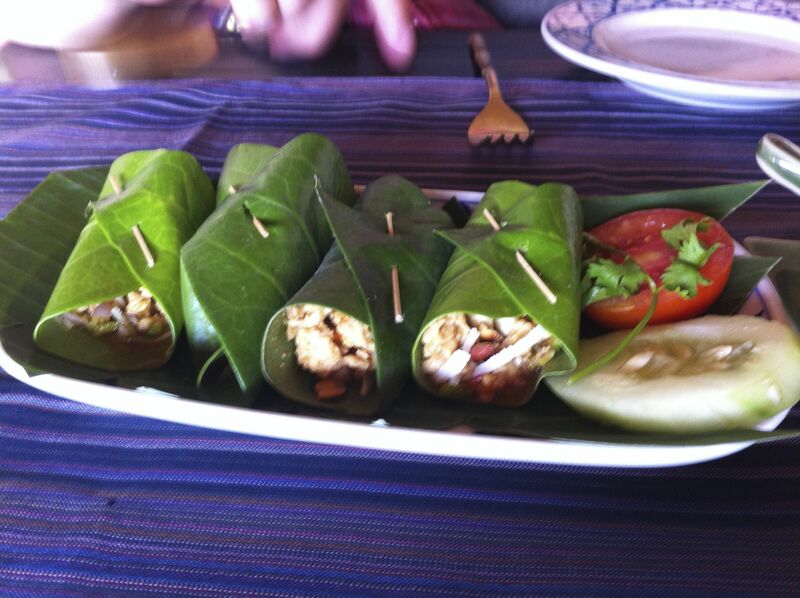 During our travels I made sure to eat as much Balinese food as possible. 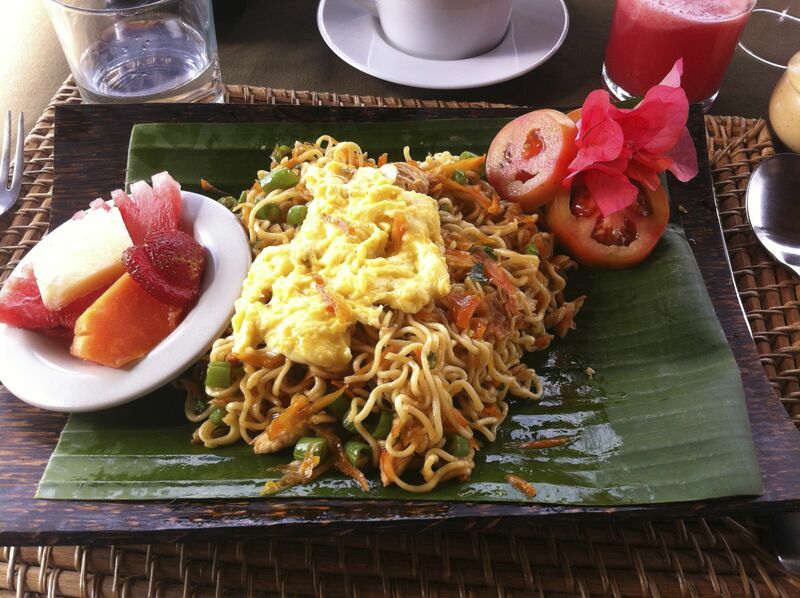 The typical and traditional nasi goreng is a simple fried rice with vegetables, some egg, and typically a meat. Chicken was prevalent, most likely for multiple reasons including Indonesian Religions; one of which holds cows sacred and the other does not eat pork [2 of the 4 major religions as described in a previous post]. My other belief of the prevalence of chicken is that it is relatively inexpensive and chickens can be found EVERYWHERE. In fact, just take a cruise down the road and you are likely to see two chicken-related items: 1) large woven basket cages- each with a rooster in it for sale and 2) a motor bike with about 100 dozen eggs stacked on the back. One fairly large difference between Balinese fried rice and typical American/Western Fried Rice [and I would assume this is also different from other countries that serve fried rice] is the oil that is used for cooking. In Bali, it is most frequently palm oil. This oil is a slightly different taste if you are used to eating food cooked with a different type of oil [ie, olive]. The nasi goreng that I ate typically consisted of rice, spinach or leafy greens of some sort, capsicum [pepper- usually red of a fairly mild variety], and shredded carrot. 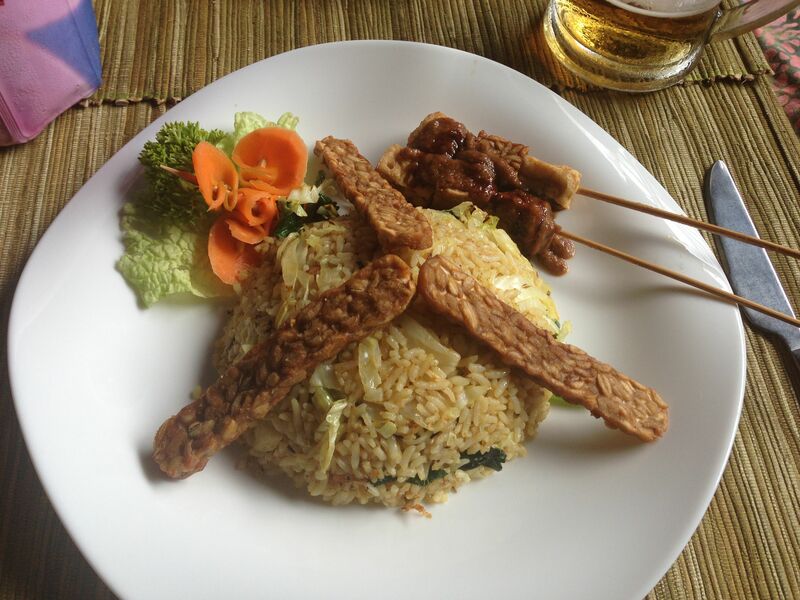 I often ordered my nasi goreng with chicken or just vegetables. 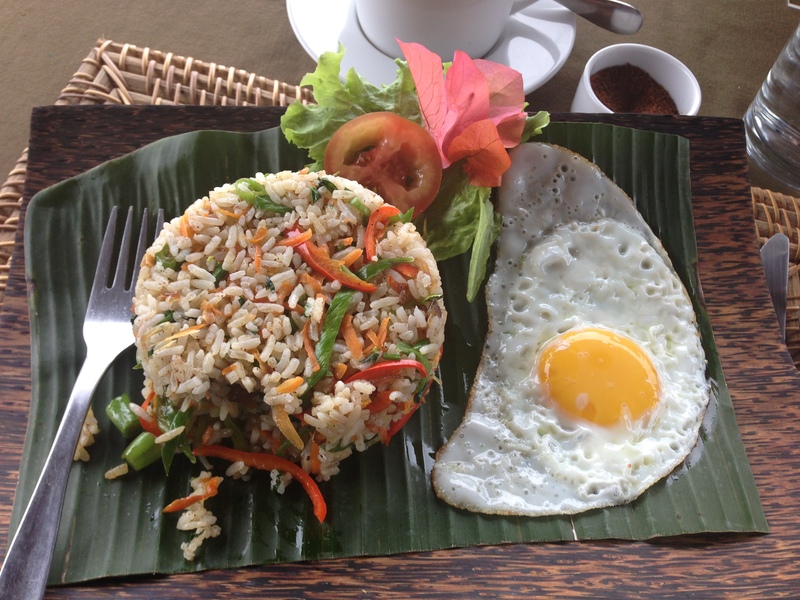 Traditionally, nasi goreng is also served with a fried egg on top of the rice pile. The fried noodle dishes typically had Ramen-style [quick-cooking] noodles and the same list of veggies above along with cabbage. Both the fried rice and fried noodle dishes typically have their own flavor as well. Sambal is type of secret sauce that is prevalent in Bali. While you can purchase bottled Sambal in a variety of flavors from the larger stores [ie more touristy] in Bali, real Sambal varies from family to family. 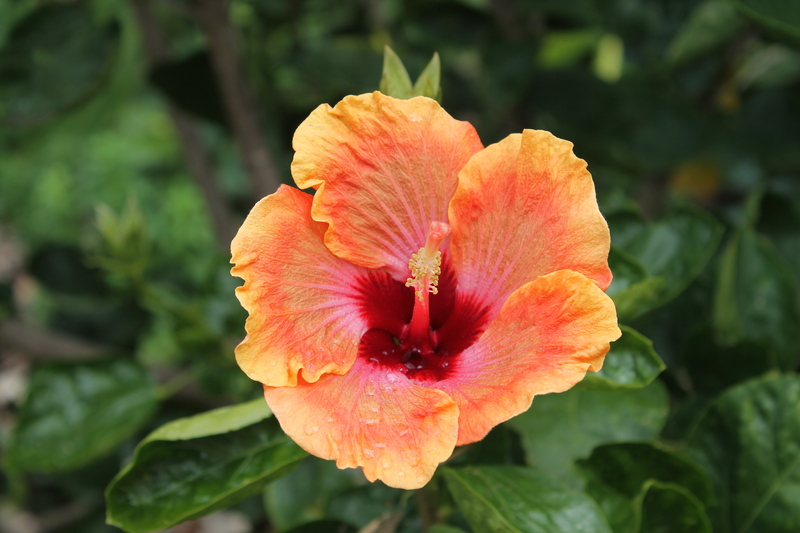 Families develop their own recipe which may range from sweet and sour to extremely spicy. 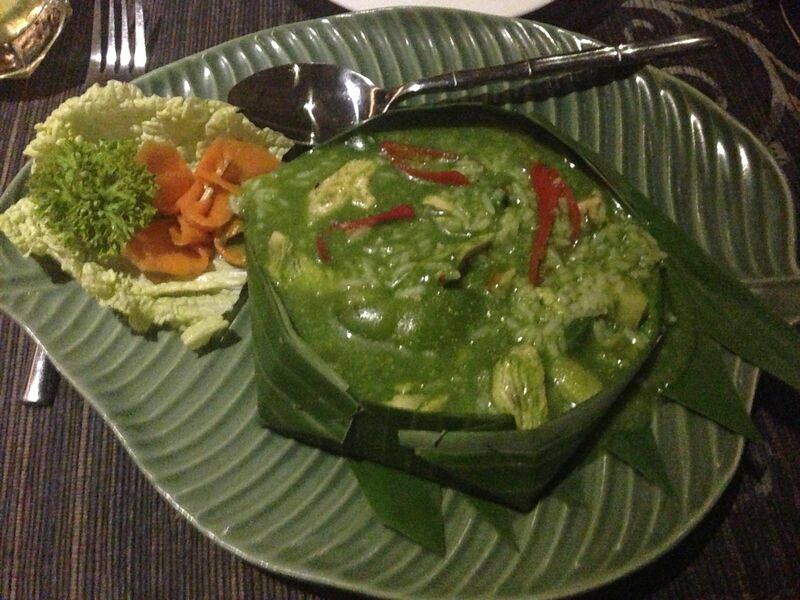 I loved every Sambal that my meals were cooked with! 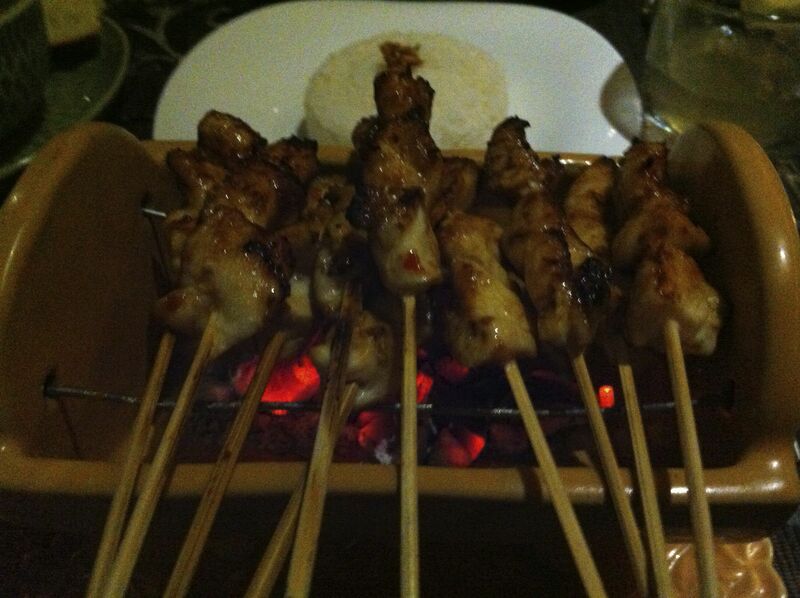 In addition to these two dishes, Bali also cooks a good deal of satay as wells as Ayam Betutu; a dish that consisted of slow cooked spiced chicken, rice and vegetables. 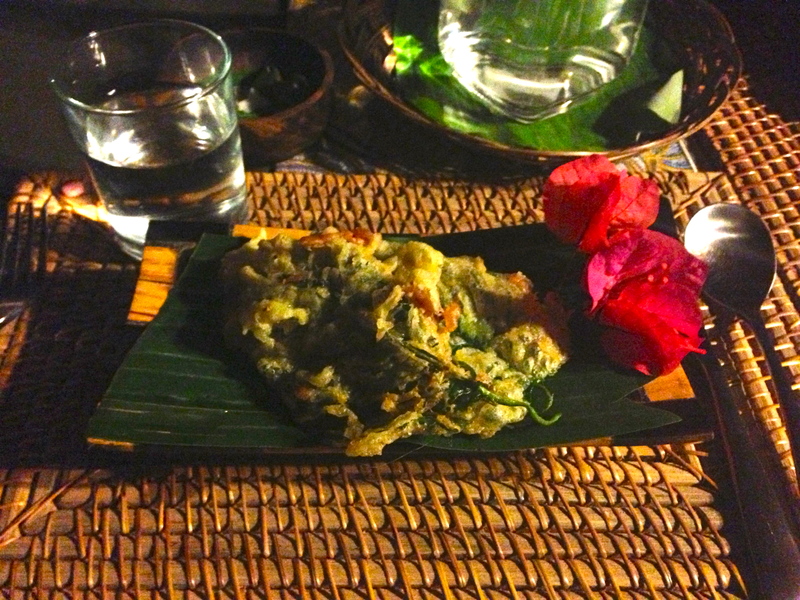 One restaurant in particular comes to mind where I ordered this dish in Ubud—the hostess/manager told me that it is very traditional and she makes it almost every day. Fruit is also very common throughout Bali and many night markets sell a large range of fruits from snake fruit [shaped like a small pear, it’s peel looks like snake skin, but it tastes like an apple] to pineapples [a smaller, lighter and less sweet variety than what you might find in say, Hawaii or Costa Rica, but still extremely delicious], to A TON of Watermelon [both red and yellow] to dragon fruit to mango to papaya to strawberries [there is a large strawberry portion of the island located near the mountains in the north-central region]. Fruit juices are common [crushed ice and fruit, usually some sugar]. 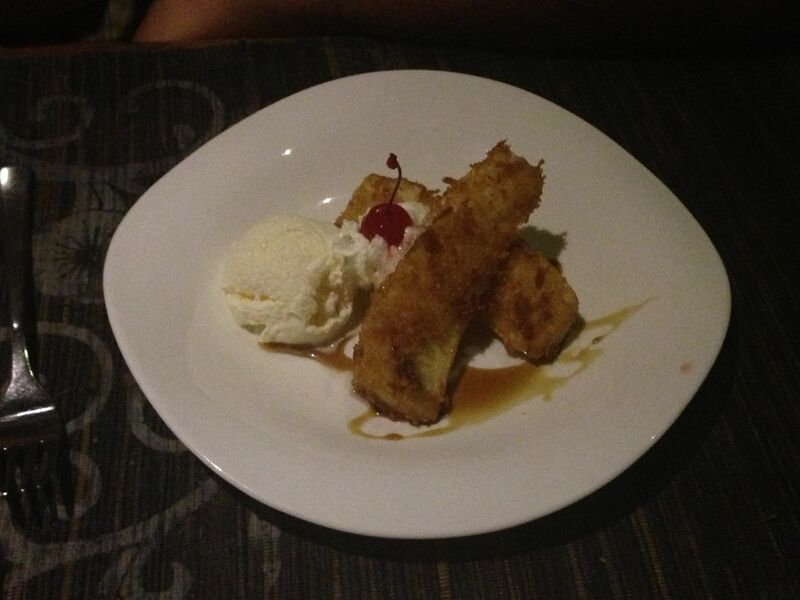 Desserts typically consisted of fried or grilled banana and/or pineapple to fresh fruit to more typically-western dishes like cheesecake, depending on the area or restaurant where you were eating. 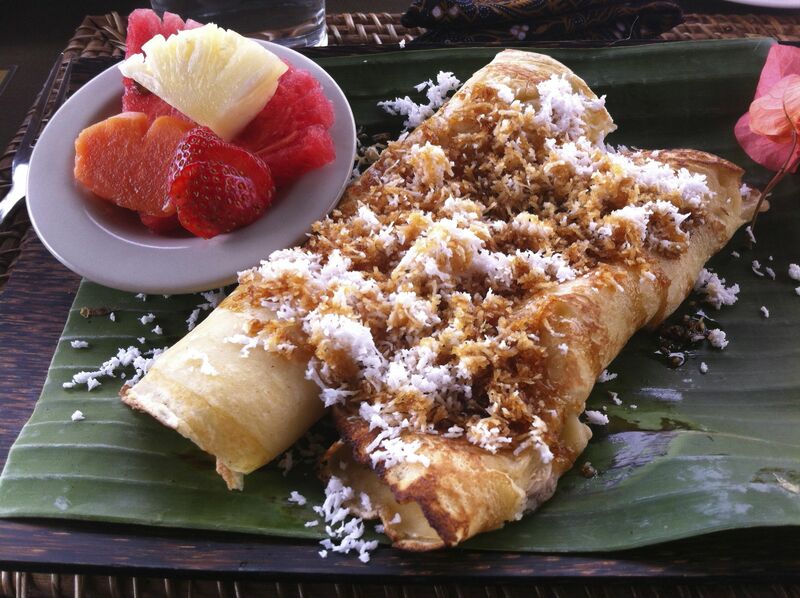 While restaurants are found throughout Bali, more common are “Warungs” or small café-type places. Warungs range from tiny, dimly lit, hole-in-the-wall feed stops to extravagant, large, exquisitely decorated getaways. Don’t be fooled by appearance- just because a place looks a little off the beaten track, doesn’t mean the food won’t be just as if not more delicious than its larger competitor. Ice cream can also be found in Bali, however it tastes more like ice mixed with a bit of milk, if you are used to the sugary, fattening, western-counterpart. 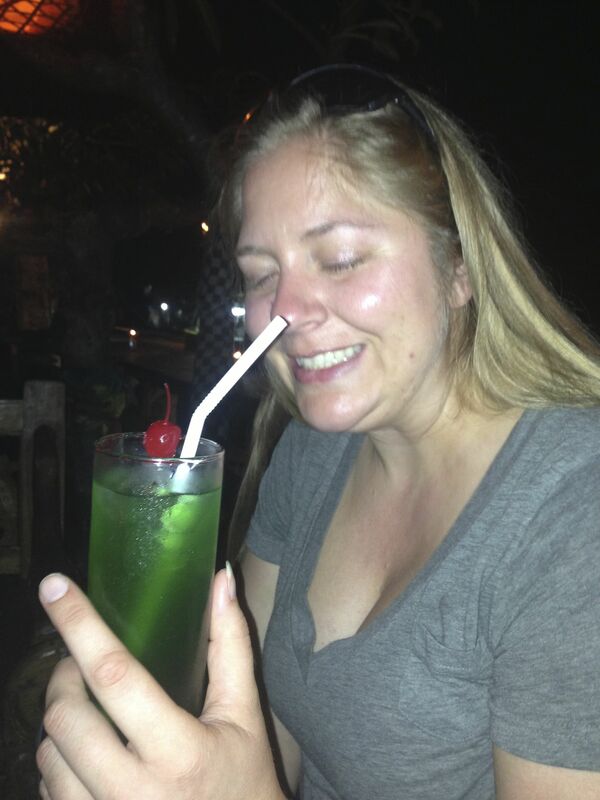 Another important question revolves around drinks in Bali! You shouldn’t drink the tap water [not even the locals do!] Bottled water is prevalent and although it is a large waste of plastic and creation of trash, it is better than getting a water-borne illness or bacteria. In an effort to curb plastic bottle use and trash, many places will allow you to fill up your own water bottle or canteen from their large jugs of water. Alternatively, you could ask for a glass of water from their large jug rather than a bottle of water. Coffee and Tea are both found in abundance in Bali; the major difference between Western Coffee and Bali Coffee is that in Bali they do not do “drip coffee”. Instead, they simple finely ground the coffee beans and mix them into a cup of hot water and serve it. If you are not used to this type of coffee, it can take some getting used to—you will find grit at the bottom of your cup and the last few sips will be rich and thick. The main beer found in Bali is Bintang. It’s tasty, refreshing, and found all over the place. Mixed drinks can be found in more touristy areas—look for more exotic drinks like passion fruit crushes [passion fruit, club soda, simple syrup, and ice] or even the Lovina Special “Level 15”: 15 different liquor mixed in a glass including dry vermouth, crème de menthe, gin, vodka, rum, whiskey, and bourbon] along with some ice, grenadine, lime juice, and topped off with soda water. It comes out bright green, tastes like cough medicine, and is one hell of a strong drink. 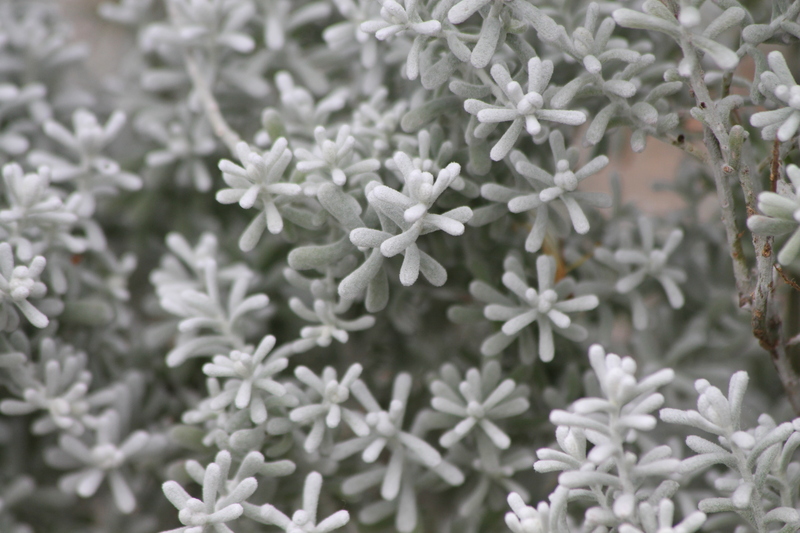 The other direction to go with hard alcohol is to try the “Arak”; a liquor made from rice. It is potent and tastes a bit like whiskey. Traditional drinks using Arak include the Arak Attack [orange juice, grenadine, and Arak] or the Arak Honey [Arak, honey, and lime juice]. It’s definitely worth a try as the flavor changes greatly depending on the mixers you choose. Because not many Balinese people drink you may find that your bartender makes your drinks a bit strong so just be careful! If you are a vegetarian, vegan, pescatarian, or carnivore- not to worry. You will find something to meet your needs. 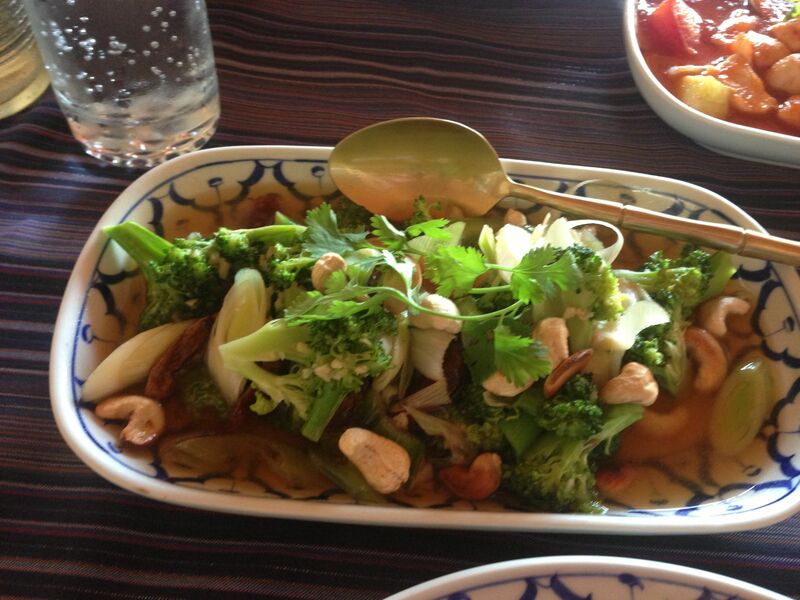 Vegetarian dishes are almost as prevalent as meat dishes and tofu and tempeh are huge. 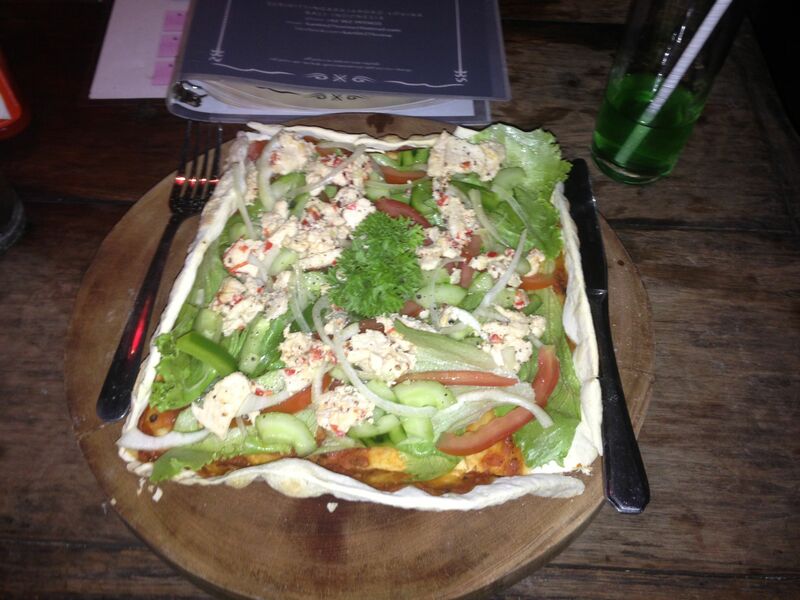 Be sure you try out the fried tempeh, it’s delicious! 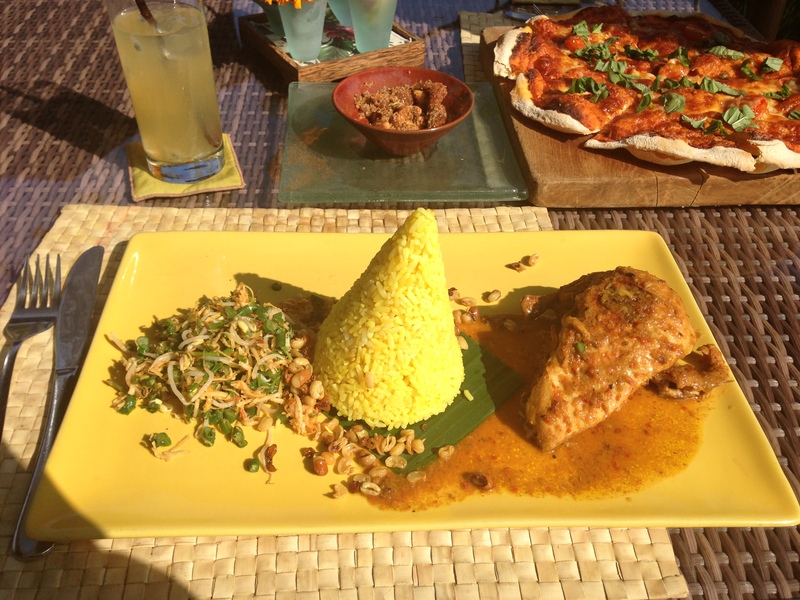 Depending on the warung or restaurant that you choose, you will also be able to custom order your meals. Tourism is a major industry in Bali and so they aim to please. My last piece of advice is to relax when eating. As I think back to our trip, it’s hard to think of a meal when Andrew and I didn’t spend about 2 hours sitting, talking, enjoying each other’s company, and tasting the foods. There were even a handful of meals that lasted more than 3 hours. If a place says it has free wifi, don’t trust that it will work and/or that it will be a fast connection. Instead of searching for wifi, how about you turn off your phone, put away your ipad, and sleeve your laptop. Ask the locals for ideas of things to do, stop caring what time it is exactly [use the sun as your guide instead], actually enjoy the food in front of you including the multitude of flavors [a lot of curry spice is used], and take in your surroundings. Many of our meals lasted so long simply because of the scenery—rice fields, organic farms, busy streets, night markets, temples… Bali is a wondrous place. Immerse yourself in it; the rest of the world will still be there in the morning. 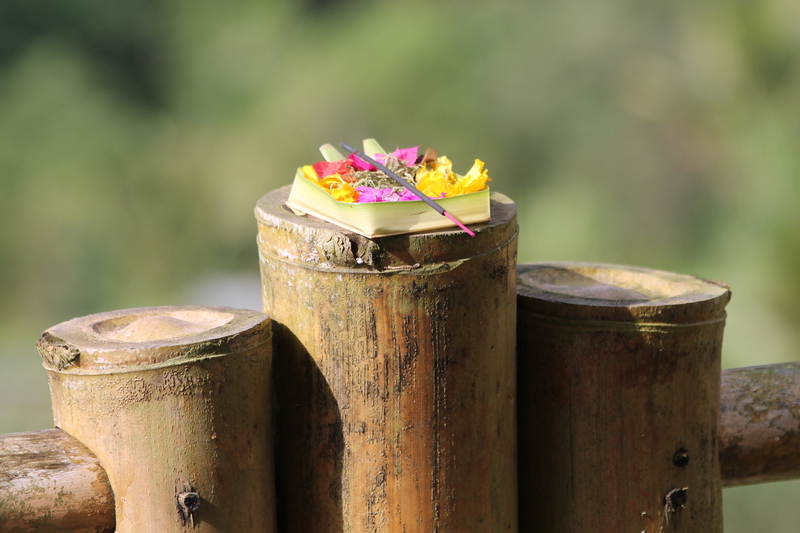 A Rich Balinese Culture: Offerings and Temples. 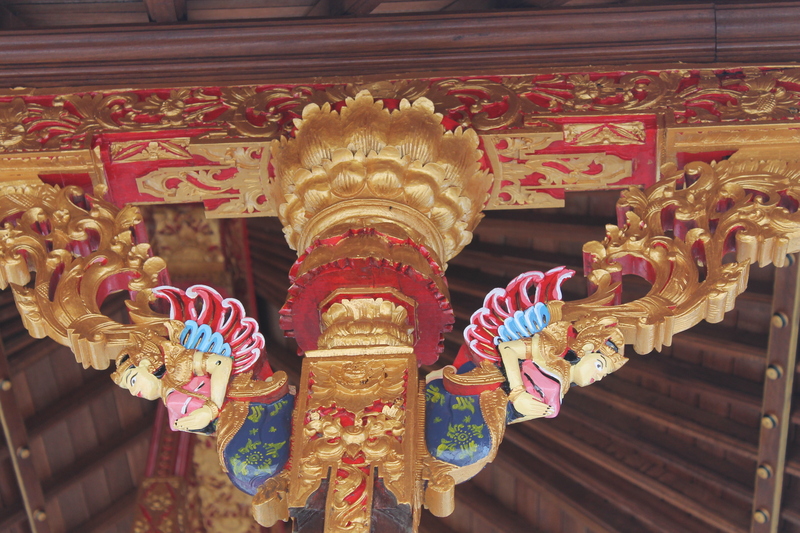 As readers, I’m not sure how much you know about Balinese culture and/or religion. Truth be told, prior to Andrew telling me that he was being sent to Jakarta and Bogor for three weeks to conduct training on mapping and forestry for a few NGOs and other partners in Indonesia, all I knew was that Indonesia was relatively close to Australia, it was comprised of a bunch of islands, palm oil is big [from what Andrew told me], and I wanted to go there. I love new cultures and I live for traveling. Naturally, my mom was the first to google things like “Indonesian safety” and “women traveling in Indonesia”. Which, in retrospect, was a smart thing to do– you should never travel somewhere without first conducting a little research on the customs and traditions. The last thing you want to do is show up and make a full of yourself. I mean, would you feel comfortable showing up to a black tie event in pajamas? Would you feel comfortable being throw in jail for missing a curfew? No. So, here’s a brief breakdown on Indonesian and Balinese religion/culture. 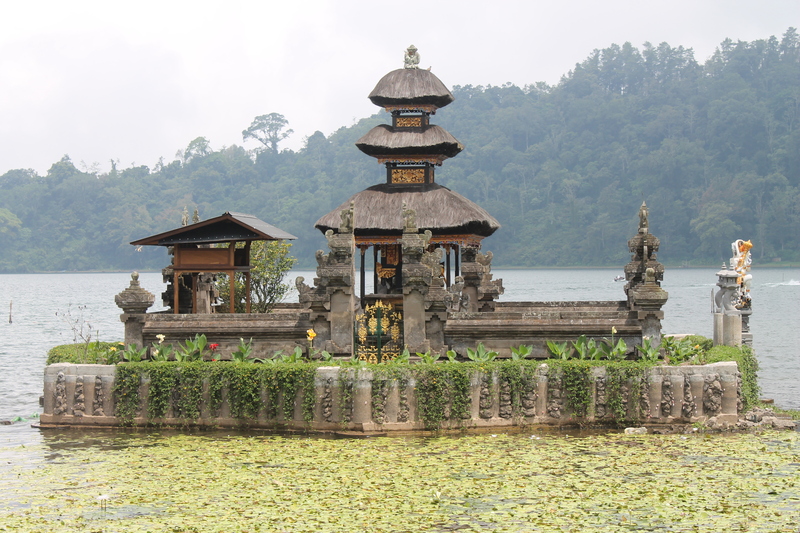 Indonesia recognizes six major religions: Islam, Protestantism, Catholicism, Hinduism, Buddhism, and Confucianism. While all Indonesians are required to carry an identification card that includes a space for one of these six religions, some Indonesians may leave this area blank. Atheism is not recognized and blasphemy is illegal. A census in 2010 showed that the majority of Indonesians identify themselves as Muslim [almost 90%]. Most of the muslim population from my understanding and little research resides on the main island of Indonesia [where you’ll find cities like Jakarta and Bogor]. Here it is still common for women to remain covered up, including a head and face cover. So, if you are going to visit Jakarta, for example, my advice would be to cover as much as possible [ie, definitely NO tube tops or tank tops]. Obviously tourism has brought other types into the mix, but remember, it’s not always fun to stand out. 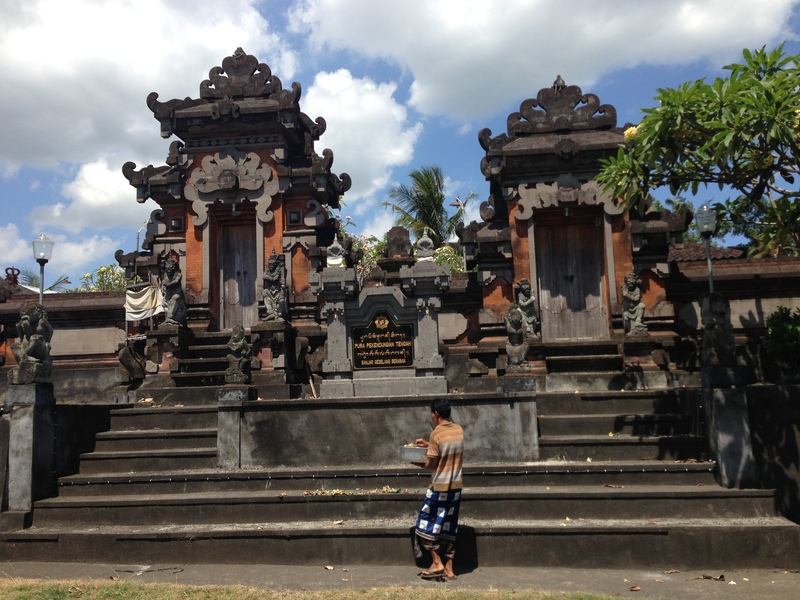 In Bali, the majority of people [almost 90%] relate to Balinese Hinduism, the remaining as Islam. 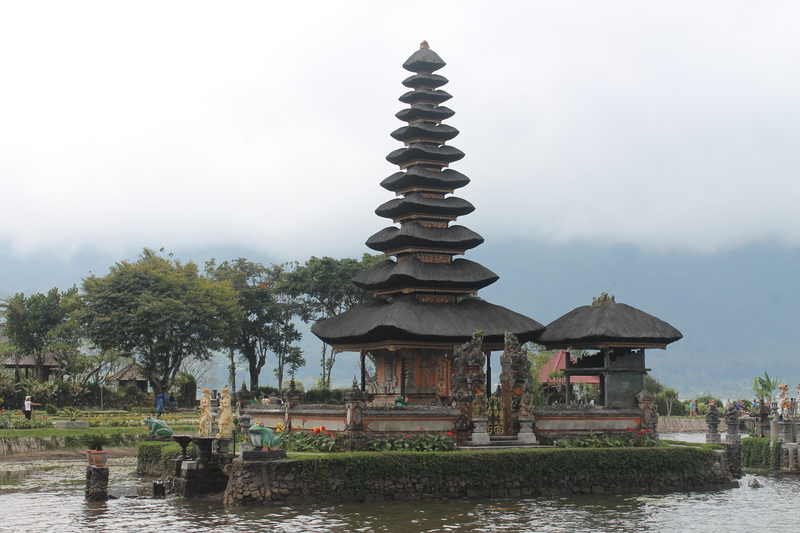 Religion and culture are very big in Indonesia, and Bali is no exception. As the majority of my time in Indonesia was spent in Bali, I can’t comment specifically on other provinces of Indonesia, but I can comment on Bali. Just about every single home, shop, hotel, and other workplace had at least one small temple. Homes have family temples, intricate and elaborately designed temples with statues and pointed/angled architecture. 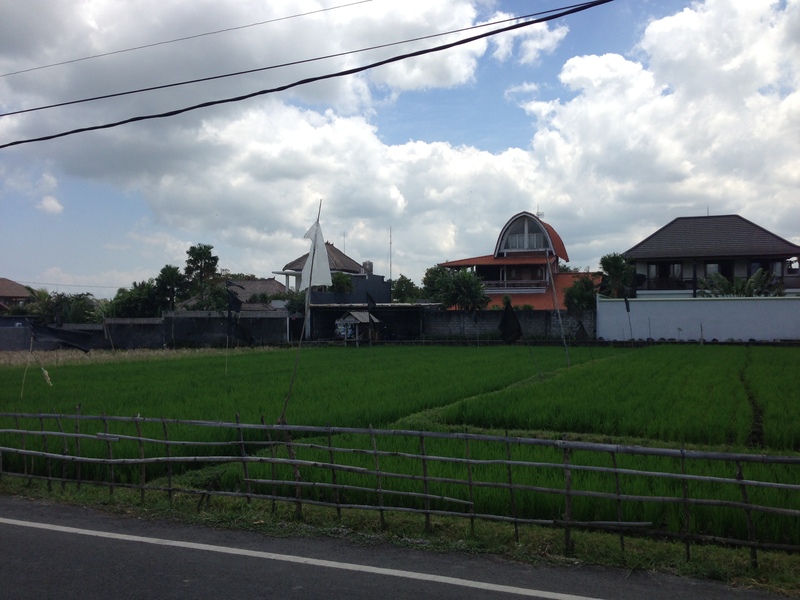 I could honestly spend months just touring around Bali and looking at family temples. They are gorgeous. Balinese Hinduism includes a focus on local and ancestral spirits and is different from traditional hinduism which focuses primarily on rebirth and reincarnation. One Balinese guide/driver we had during our trip told us that there are a number of ceremonies that occur for newborns and children and that the child is actually not given a name until one of these ceremonies about 3 months after the child is born. Ceremonies are also big around the puberty timeframe, marriage, and perhaps most importantly, during the time of cremation in celebration of the afterlife. When it comes to cremations, the Balinese conduct an absolutely remarkable event and celebration as we learned through a few Balinese folks and conversations in Jakarta with other native Indonesians [Andrew worked in Jakarta for a few weeks prior to our Bali trip]. Large cremations occur on different time intervals so deceased family members will be buried until the appropriate time. At that point the bodies will be dug up for a proper cremation. Large models/statues of animals are built in which the bodies are placed to be carried to the appropriate temple. Once there, the bodies are transferred to lion or tiger statues for the actual “lighting on fire” part. During our time in Bali, we were able to catch some set-up for a Cremation, a short parade of a Cremation, and the aftermath of the Cremation next to the graveyard where the platform continued to burn. Our hope is that on our next trip, we will be able to attend a Cremation from start to finish. The Balinese do not seem to mind if you want to go along, as long as you are respectful and have the proper attire [including a sarong/sash]. 1. 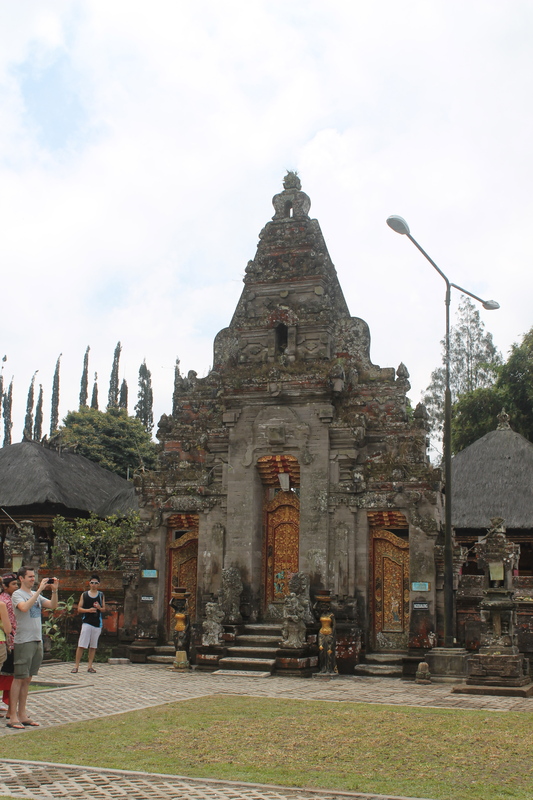 Family temples are located in the corner of the house plot [or compound or land or whatever you want to call it] closest to Mount Agung [a volcano, the largest in Bali] where the Gods are believed to live. 3. Women will repeat these offerings at work, in the shop, and at the beach. 4. Husbands will similarly pray and present offerings which are often seen in the taxis or other cars they drive. In Bali, head covers are much less prevalent as islamic religion is not as widespread. However, it is still respectful and tactful to avoid wearing overly revealing clothing [including short skirts, tank tops, tube tops, halter tops/dresses, etc], especially in temples. In areas of Souther Bali [such as Kuta areas], you’ll find a plethora of Australians and other tourists. I relate Kuta to the “Cancun” of Bali. For Australians, a flight to Bali is often cheaper than flying across Australia so many younger people travel there for vacations, spring breaks, and surfing. We only drove through Kuta and did not spend any time there as we tend to appreciate the “not so touristy, glitzy” areas of the places we visit. This is not to say that we didn’t spend our fair share of time in touristy areas as well. Just putting things into perspective. So, if you’re headed to Bali, remember- be respectful. Don’t wear overly revealing outfits and clothing. Your world won’t crumble if you actually wear a shirt on a moped and no one will check you out less for wearing a short-sleeved shirt instead of that new halter top to the sacred temple. Enjoy the ride! And we were off. Two mountain bikes, two Americans, and two packs weighing about 50lbs each. Again, we had read that the traffic could be tricky but we were prepared. We had plenty of crazy driving experience all over the world! We took off taking a route that would wind West and then curve North before heading West again towards our destination for the evening: Puri Dajuma, a beachside eco-resort/retreat located a little ways into West Bali [Towards Negara]. We rode down a few streets and immediately saw the Balinese culture and religion of Hinduism through the never-ending temples. Miniature temples can be found at every home and business. The vast majority of the Balinese people believe in Agama Tirta or the “holy-water religion”. It is a Shivaite sect of Hinduism. We stopped a few miles into our ride to get some water to fill our camelbacks and bike bottles. The sun was beating down, our packs were heavy, our bike seats tiny and hard, and our helmets lacking padding and protection, but we were excited and happy. We saw rice fields and construction, amazing architecture, and roadside “warungs” or little shops selling everything from water and Sprite to fried bean paste to candies to incense to gasoline in glass bottles. We continued on our trek, shortly coming to a “secondary” road. In other words, not the main road that was our destination. We were immediately aware of the immense amount of traffic. While our back and “tertiary” roads were nice and beautiful, the majority of these roads do not run east-west in direction. There is one main road that run east-west that we had to take to our destination. We biked along, going up and down hills and around steep curves, trying to stay away from speeding cars and motorbikes [the primary method of movement on the island]. After another good hour of riding, sweating, coughing because of the immense amount of air pollution and exhaust from the motorbikes and cars, and literally almost getting hit by cars at least 5 times each, we admitted defeat. 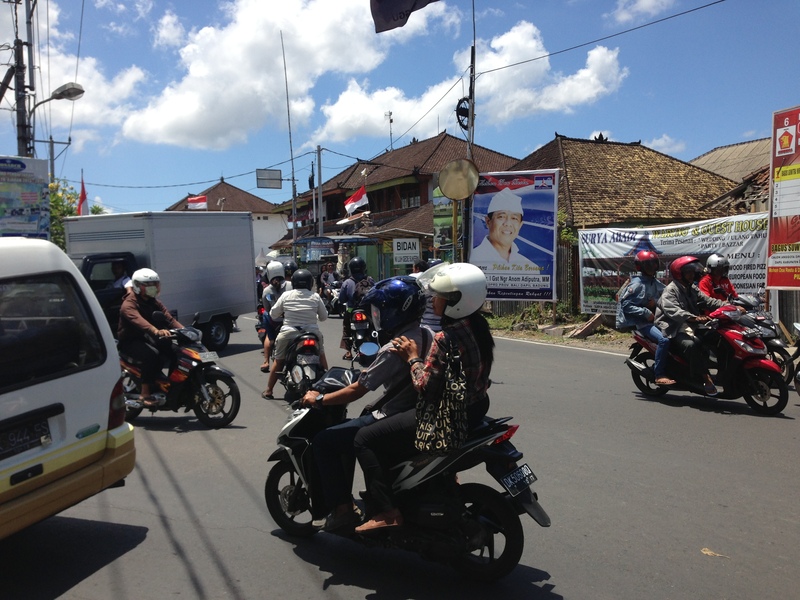 There are close to no traffic lines or signs in Bali. 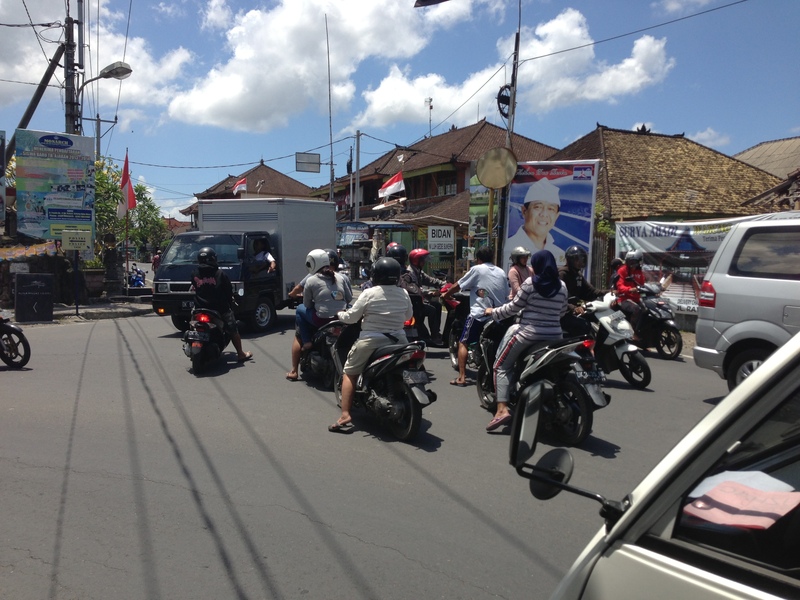 In fact, almost a week of being in Bali as I write this post, I have only seen one traffic light and it was flashing yellow. Cars and motorbikes just go on their merry way and don’t take others into consideration [certainly not bicycles]. Any motor vehicle turning left, in fact, does not even look right to see if anyone is coming, they simply go without stopping trusting that if they will get slammed by a car, that car will honk first. Unfortunately, with our bicycles, we did not have horns, let alone bells, let alone some road presence other than looking extremely out of place. When we originally headed out on our tour via bicycle, we were not doing so because of the book Eat Pray Love. , but I have read several articles in books and online stating how people show up in Bali thinking they’ll be able to bike around on desolate flat roads past rice fields in a nice cool breeze [as in the book and movie]. These articles warn you that no, that is not the case. 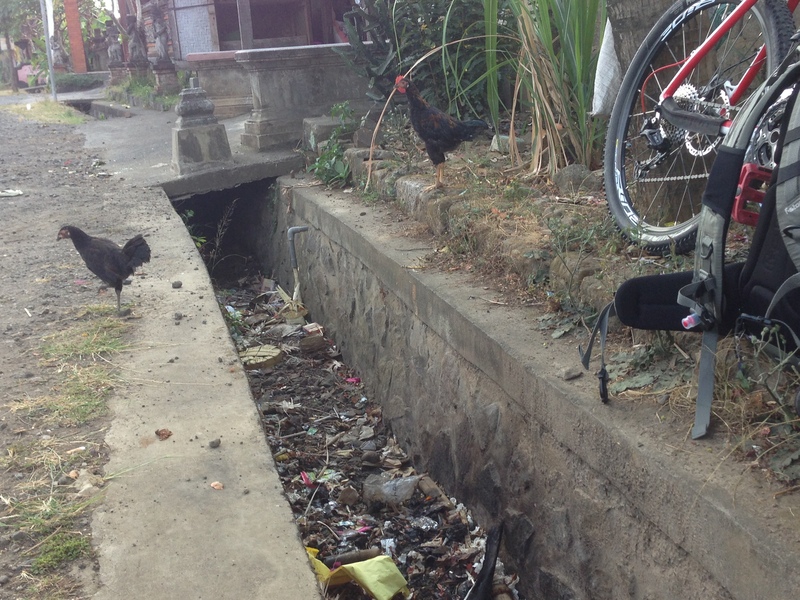 As someone who has tried and failed, DO NOT try to ride a bicycle around Bali unless you have a death wish. We are pretty adventurous people and true, there are some areas that are less crowded and easier to go around, but honestly, we pulled over after a truck almost pummeled me and decided that we would rather live than live the “adventurous, crazy, try to bike around an island that has a population of 3 million people” life. In the end, we wanted to enjoy our trip and the sights and sounds, not constantly be worried about being hit by a car or motorbike. Furthermore, we decided that we did not want to use a rental car for the entire trip. The majority of cars here in Bali are manual, so finding an automatic would have been impossible. Driving here also requires an international license, something that you need to apply for in your home country. So, what to do? Interestingly enough, many Indonesians [in Jakarta, for example] have their own drivers. 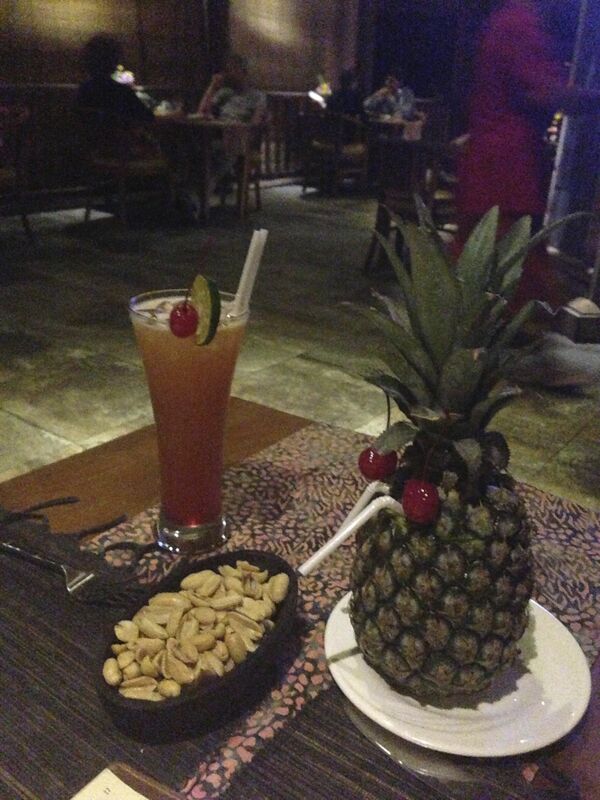 This was also an option in Bali. We decided against that as well. Instead we thought we’d be best getting rides between our housing locations and then using our bikes when we had the opportunity or otherwise exploring via foot in towns. So, where that found us was sitting on the side of the road by one of the many street ditches that is basically used to capture trash and runoff. Speaking of trash, when we had stopped earlier for a bottle of water [it’s not safe to drink the tap water here], the plastic wrapper flew off the table and I went running after it. The woman who sold us the water just laughed and waved her hands to tell us, “oh don’t worry about the trash, just let it go”. Very surreal. Anyway, back to our ditch. Wild chickens and dogs wandered around and motorists whizzed past. We called Puri Dajuma and asked if they had a driver available to pick us and our bikes up. They did not, so we asked them to call us a taxi. We settled in, dejected and depressed at our failed attempt at “Biking Bali”, but happy that we would live to see another day. We settled in to wait. At one point two dogs were playing around across the street. We watched as a third came up and barked and bit one of the other two on the leg. That dog whipped around and bit the third dog who was backed and pushed into the street. Not even 2 seconds later, a van hit and rolled over the dog… and just kept on going without so much as slowing down. We literally saw the dog roll under the car. I have never seen anything so absolutely disgusting or depressing in my life. At that moment I questioned our trip to Bali. I know that wild dogs are big here and they are EVERYWHERE and there are no sidewalks and I’m sure dogs are hit about 10,000/day, I had just never seen it so close and so real. I immediately missed Franklin and wondered how he was coping with our departure [his house sitters are loving on him more than we were I think]. About 1.5 hours later we were still waiting and it was starting to get dark. A van seemed to slow down and waved so we figured it was the taxi driver. He pulled over and Andrew went to talk to him. A 10-minute conversation later, we were loading our bikes into the trunk of a man’s van [NOT our taxi driver, just an Indonesian who offered to give us a ride]. We loaded into the van and headed off for our next adventure. We were thankful that he stopped and picked us up and yet wondering at the same time, do Indonesians often offer to drive strangers stranded on the side of the road? I don’t know and I don’t care. All I know is that the man who drove us to Puri Dajuma was and is my angel and night in shining armor. Without him, who knows how long we would have sat along that side of the road. Who knows if the taxi driver would have shown up. Who knows what the night would have served to us. About another hour driver later, the van pulled down a steep incline, through a gorgeous temple-like gate, and in front of a beautiful, open-air reception area. We thanked our night in shining armor profusely, gave him a healthy tip, and dragged our dirty and abused, pollution-covered bodies onto the nice comfy-looking couches. 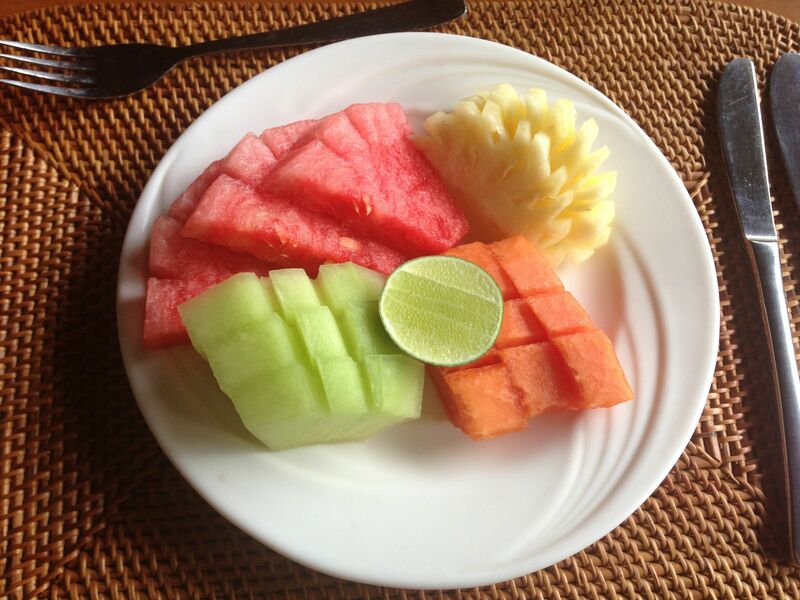 Minutes later, we were handed large glasses of watermelon juice and welcomed with open arms. Needless to say, we had some re-arranging and shifting of plans to do. A big shout out to all the Indonesians who were nice to us and helped us that first day. It was tough and exhausting and enlightening. Arriving into Bali was something else altogether for me. I flew from Perth, Australia on Air Asia [the plane was comfortable, the crew spoke in Indonesian and English, the flight was pretty short– about 3.5 hours]. When we landed, we disembarked on the runway itself. We then all loaded onto a bus shuttle, crammed in like sardines [but part of the fun!] and the bus drove us about 2-3 minutes to the entry way of customs/border patrol. They drove us right through what looked like doors of a temple. How cool. How different. This, my first experience in Asia, I was extremely excited to see the different architecture and design. Anyway, on to the airport. When you arrive in the airport there are a handful of people there holding signs. If you have a person waiting for you, you wave and that person sprints to one of the lines for visa payment to make sure that you are first. I did not have such a person waiting for me, so I made my way groggily over to the lines and hopped into one– only about 2 people back! Turns out, waiting to be one of the last people off the plane has its advantages! The visa fee is $25US or the equivalent in Indonesian Rupiah [IDR]. You pay your money, show your passport, and receive a receipt. Then you move on to the customs lines. When you get called up, they look at your passport, look at you, then attach the visa to your passport [a sticker!] and sign it and let you go on your way. Next you grab your bag[s] if you checked them, place them on an x-ray belt where they are simply scanned through [I’m not sure if anyone was actually watching the scan screens to be honest]. Finally, you either walk to the “red line” where you go if you declared anything on your card or the “green line” if you didn’t declare. You hand your card to the guy standing there, or in my experience, you watch people walk by and drop their cards on the table while the guy speaks to one of his buddies and just like that, Welcome to Indonesia! When I walked out the front doors of the airport,I noticed several things: 1) about 150 people crowded around the doors with signs with different names of people on them [hotel drivers and hired drivers] as well as a handful of people waiting for others to arrive; 2) a bunch of guys walking around offering taxis or private drivers; 3) warm and damp air; and 4) a giant billboard reading, “Welcome to Indonesia, Enjoy Your Stay.” I was actually expecting more of a push for Indonesian language, but alas, everyone in the airport spoke English and it seemed, so did the advertisements in Bali! I found Andrew sitting under said billboard on the grass. We had actually told our hotel ahead of time our flight information, so the driver came to pick us up. Finding him was a bit complicated as there were so many people crammed around the door, but after a short search, we found him and headed off towards the car [he had parked about a 5-10 minute walk away]. This is where I’ll pause for a moment. I had heard and read about drivers in Indonesia. My understanding was that they were fast, didn’t follow traffic signs, and there were a lot of them. What I wasn’t prepared for is the crazy, chaotic patterns and ways of driving that I experienced on the way to the hotel. First, I think that perhaps there are 5 traffic lights in all of Indonesia. They just don’t exist. Second, Indonesian drivers do not stop or yield or pause when turning left. They simply go and turn and trust that if someone is coming that person will honk their horn. Which brings me to point three, horns are used a lot, but not in a mean way. They are used as a way of saying, “Hey, I’m here, just wanted to let you know”. Next, drivers have no problem swerving around each other and/or driving on the wrong side of the road [and I don’t mean wrong side of the road for US folks, I mean wrong side of the road for Indonesian folks]. Apparently, there is no wrong side of the road. Our driver literally straddled the center line of the road the entire hour-long drive to our hotel in Canggu. 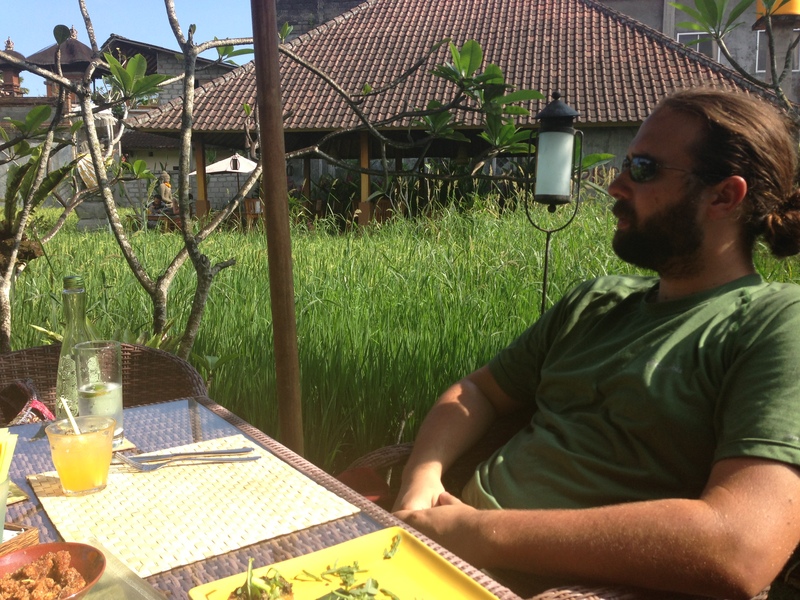 On the insistence of the Infinity Mountain Biking Company that we had been in discussion with prior to our trip, we had chosen a hotel they recommended out in Canggu; a little further away from the Bali Airport because of the traffic. 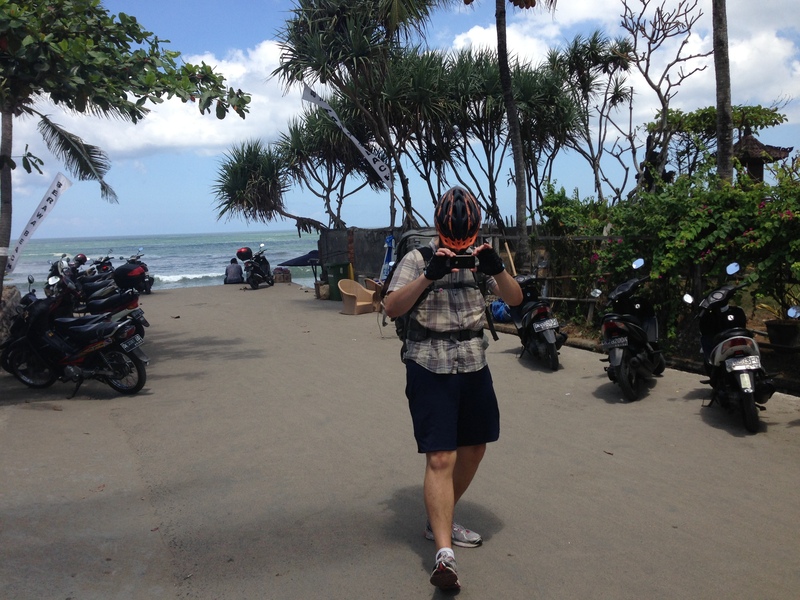 Our plan was to spend our time in Bali biking from place to place [making a loop around the island and also into the middle/central portions of the island where the volcanos are]. The hotel they recommended was the Legong Keraton Beach Hotel. Here, they would deliver our mountain bikes in the morning. Because of airline delays, we didn’t end up getting into the hotel until around 2:00AM, but from what I saw that late/early, it was beautiful. Situated right on the beach, Legong Keraton features spacious rooms with connected balconies that overlook tropical vegetation and trees. We quickly settled in and caught some rest. In the morning, around 7:00AM, we received a call stating that our bikes were there. We headed downstairs and met with a group of about three guys from Infinity Mountain Biking. The bikes were really nice: One Giant and One Polygon. We were handed two sets of bike gloves, two helmets [not sure they had quite the same padding amount as in the states, but they would serve their purpose], one bike lock [we were a little leery of that], two water bottles, a bike multi-tool, two extra bike tubes, a patch kit, and we were offered but declined a backpack. There was also supposed to be a pump, but I guess they forgot it. Andrew asked if it would be easy to find a pump if we needed one. After some talking back and forth, they agreed that they would return with a bike pump in about an hour. We handed over $600US [well, the equivalent in Rupiah] as a bike deposit. The total for all of the gear and the bikes for 12 days [including delivery today and pick-up at a hotel in Ubud 12 days from now] was $240US. So, when they come to pick up our bikes in Ubud, they’ll return the deposit minus the $240US. Not too bad for a week of traveling. When they headed out to get the pump, we headed to breakfast. There is a restaurant at the hotel and breakfast was included in our stay. We entered the open-air dining area and were instantly greeted by a woman who offered to cook us eggs. Andrew ordered ham and cheese eggs and I ordered mixed eggs, no meat. My eggs turned out to be: cheese, mushrooms, peppers, and onions. Yum. In addition, there was a buffet style set-up with strawberry juice, water, coffee, tea, cereals, fresh fruit [pineapple, yellow watermelon, and papaya], beef sausage, and nasi goreng [nasi = rice, goring = fried]. The breakfast nasi goreng was vegetarian and had egg, onion, and some chilies in it. Yum! We dined on a patio overlooking the manicured lawns, palm trees, and beach. While the lawns looked fake, they were still nice and it was very obvious how much time and care was put into keeping them looking perfect. About half-way through our breakfast, infinity mountain bikes returned with our pump and after a handshake and a wave, they were off. We headed back to our room and set about discarding things we didn’t need from our bags and repacking them in an effort to minimize the weight of our packs. At the end of the day, we had about 50lb packs. They were too heavy. Andrew had also asked if we could store an extra bag at the hotel for about a week [stuff leftover from working in Jakarta for the past 3 weeks]. The hotel said sure no problem and didn’t even charge us! 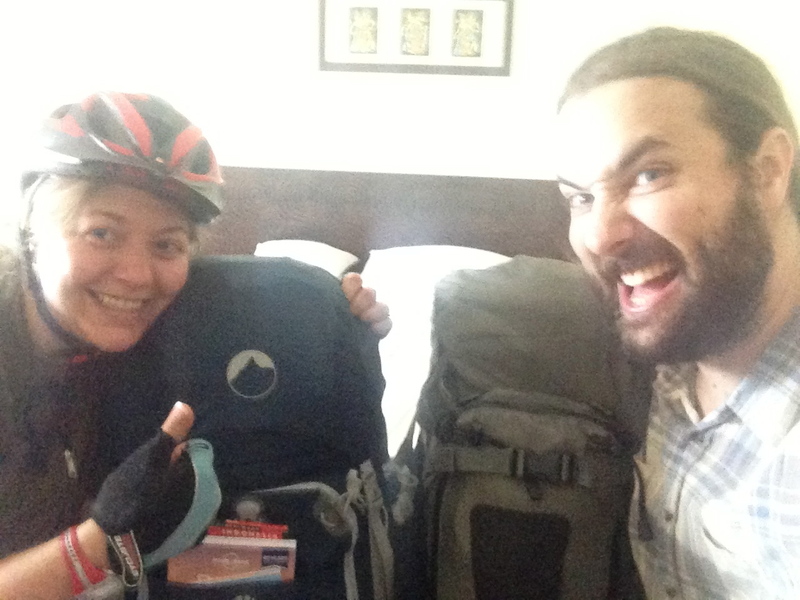 With a few more checks of our gear, we double-checked our maps and headed off down the road to begin our cycling adventure! Pictures to be added: poor internet connection here!! Good Morning Everyone! Today was my last day in Oz. I couldn’t wait to see Andrew! However, seeing as my flight wasn’t scheduled until the evening, I had to fill my day with other activities. I had a nice breakfast at the Terrace B&B [fruit, cereal, krumpets, coffee, tea, juice] and then finished up a few homework assignments and sent off a few emails for work. 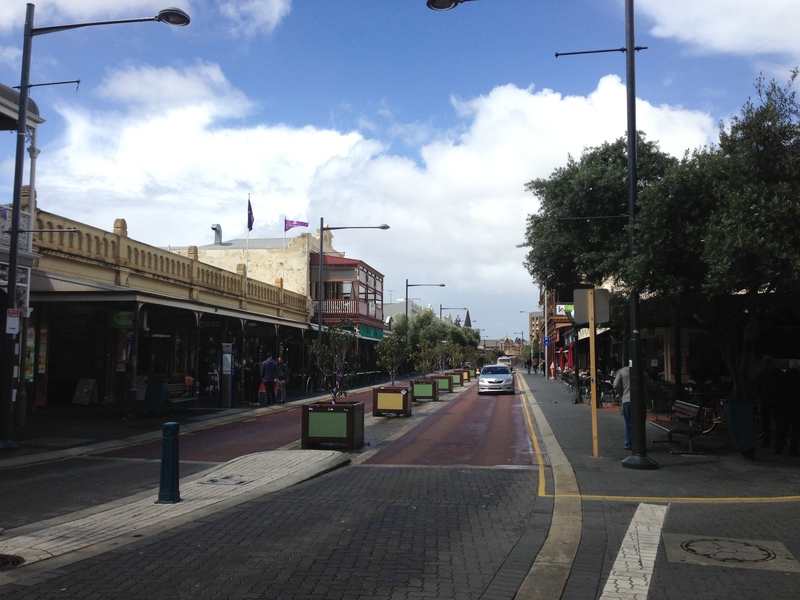 I then packed up my stuff and headed to my first stop: Fremantle Markets. 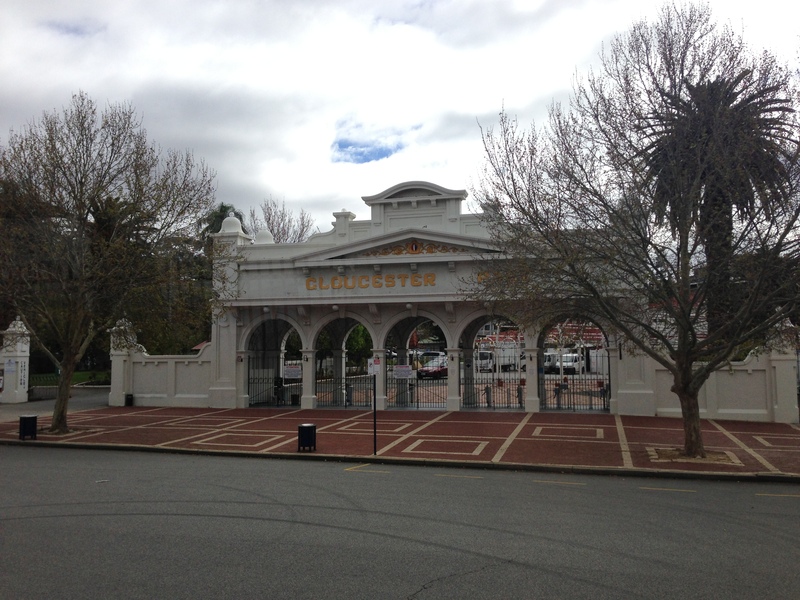 The original foundation stone for the Fremantle Markets Hall/Building was laid back in 1897. For many years the site was used as a whole foods market and people would arrive with horse and buggy. Overtime, the building morphed into a packing and distribution center until the early 1970s. In 1975, the Fremantle Council gave the building an overhaul, added it to the National Heritage List and thus the present day Fremantle Markets were born. 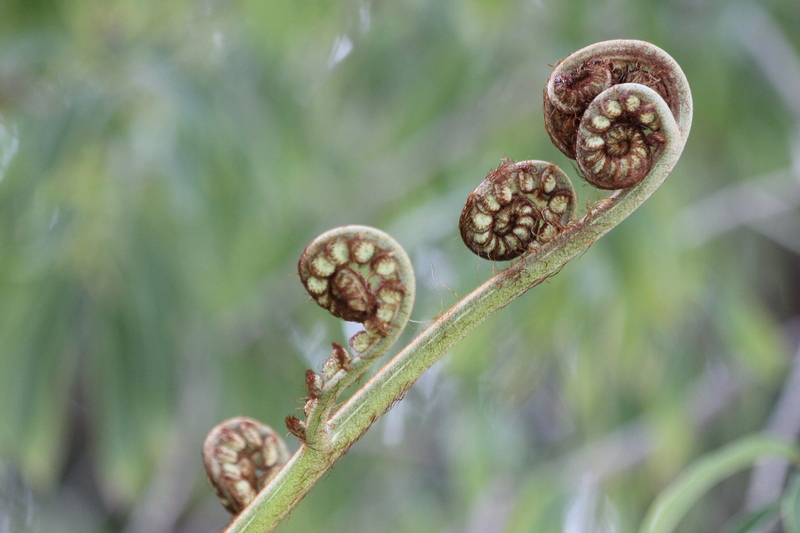 They provide produce, whole foods, indigenous and local products via a number of stalls. There is plenty of seating and an area deemed “the yard” as well with extra seating and a children’s petting zoo that occurs during mid-day. The stalls in the building ranged from jewelry to produce to large sacks of beans and nuts to clothing stalls to food stalls including sushi, cheese, pretzels, juices, and crepes. It doesn’t take too long to walk around and check out the views within the markets, but it is definitely worth the trip! An additional bonus at this time of year was the large flower display entitled, “under the wildflowers”. Wildflowers are very big in Western Australia, especially after a winter like this one with so much rain. 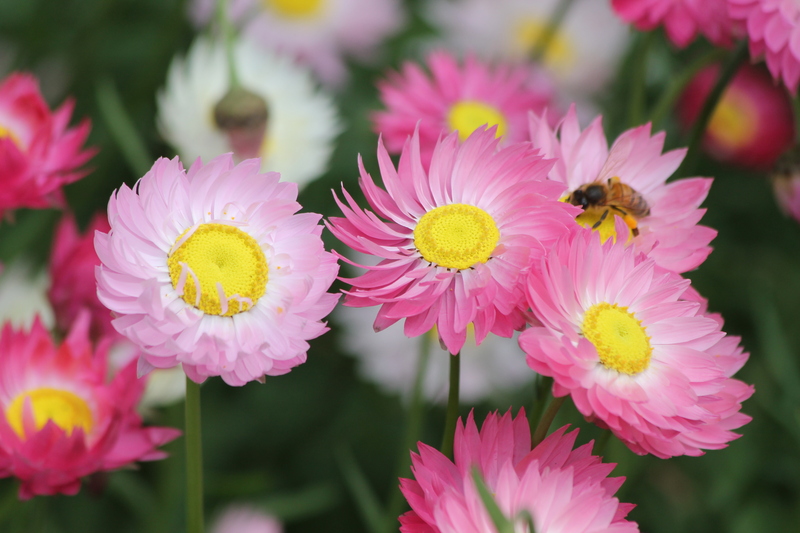 The display runs throughout the market building and consists of a bunch after bunch of Australian “Everlasting”… a paper daisy in pinks, whites, yellows, dark pinks, etc. They are special and called “everlasting” because you can dry them out and they won’t lose their shape or color. 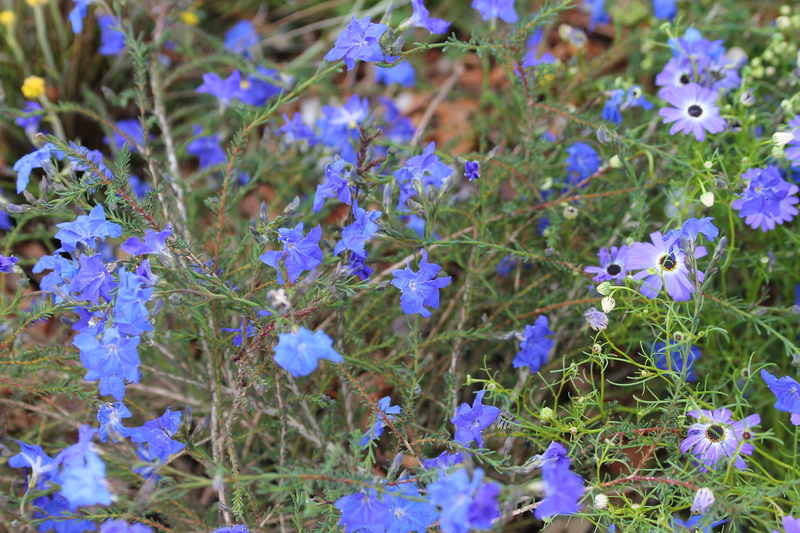 The Fremantle Markets have the largest upside down wildflower display in Australia. I included some pictures of the “Everlasting” below, but unfortunately, my phone can’t hook up to wifi so I can’t share images from the markets themselves right now. I’ll post some later! By the way, here’s the website for Fremantle Markets: http://fremantlemarkets.com.au. 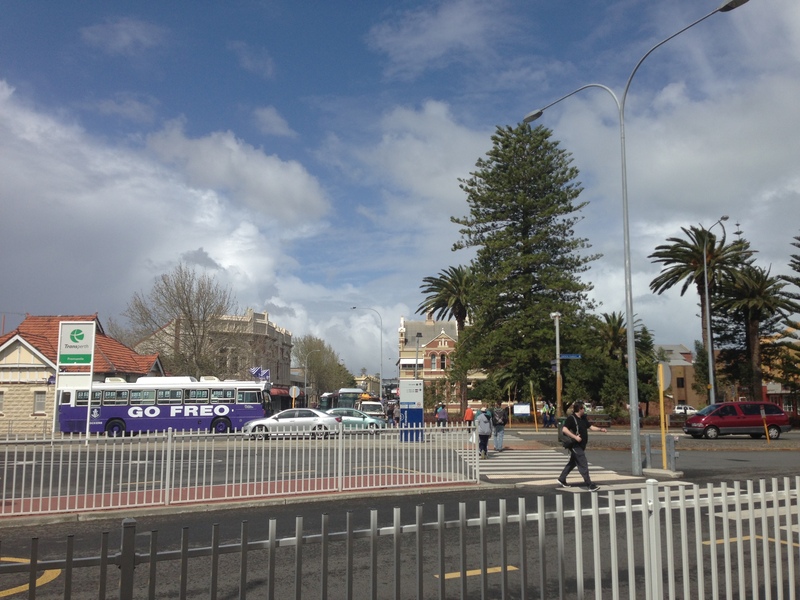 After the markets, I walked down to the Freo train station and bought my ticket for 2 zones to head back into Perth. Similar to a previous post, I had researched how to get from Freo to Kings Park on Transperth; a great site [yes, another shout out]. I hopped on my train towards Perth-All Stations and road for about 20 minutes or so until the train got to “City West”. This stop is one station before downtown Perth, so I was a little skeptical, but I went with it anyway. I disembarked and walked across the street to find the bus stop I was searching for [Transperth had also provided me with a stop ID number so I could double check]. This bus was a Green Cat. There are several Cats in the city and they run around the downtown areas. They are always free of charge- how cool! I jumped on the bus and road along, waiting for my stop Havelock Street. When we had driven for about 10-15 minutes, I heard the automated bus system say Kings Park Road. I panicked. Did Transperth let me down? I hopped out of my seat and walked up to the bus driver and asked if I needed to get off here to get to Kings Park. 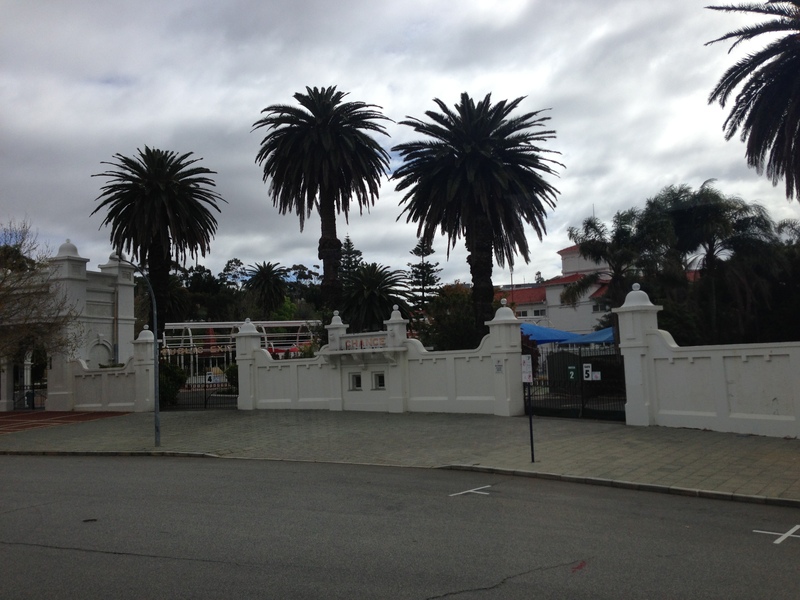 He assured me that no, the next stop, Havelock Street, was the best for Kings Park. Ahhh Transperth, thank you! The bus driver pointed out the walk to the Visitor’s Center [straight across the grass to the path] and I went on my merry way. Kings Park is awesome. It is actually a park and botanical garden that is visited by more than 6 million people a year. The total area of the park is 400.6 hectares, adjacent to Swan River and overlooking Perth [the downtown area is a mere 1.5km away]. 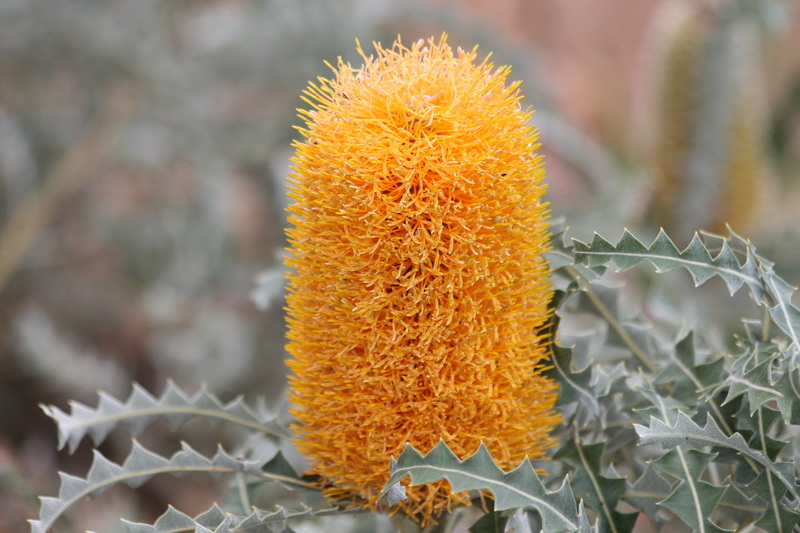 It showcases flowers and plants from around Australia, including a special exhibit on Western Australia. 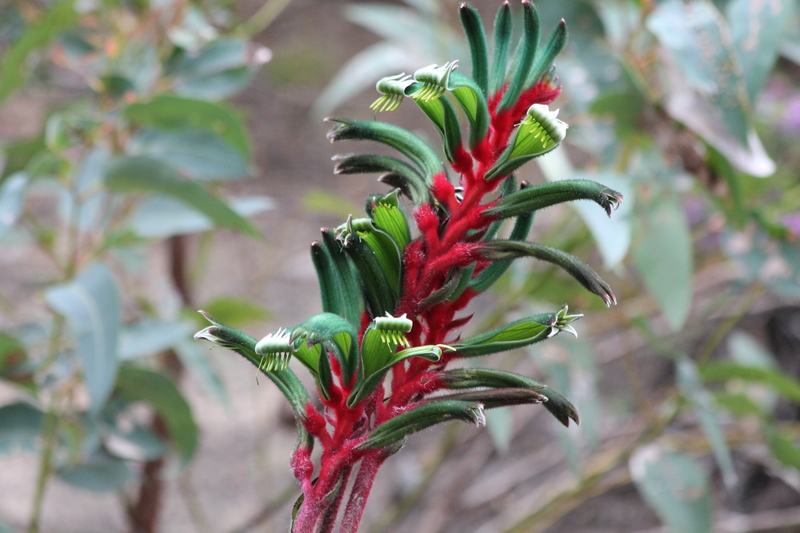 In addition, 2/3 of the park is natural bushland with over 300 species of native plants and more than 80 species of birds. Another great part of the park/botanical garden… they have the Lotteryway Federal Walkway. This is a walkway through the park, along the river that has a large glass suspended bridge. When you walk over it, it is as if you are walking in the canopy of the trees. Just amazing. After a few hours of exploring, I headed through the carpark to the designated bus stop according to my trusty Transperth [of course I double checked with the Visitor’s Center… after all, I come from Washington, DC, and you can’t always trust WMATA, our online public transport system]. I waited about 5 minutes until a bus popped up. I asked the driver if he was headed to the airport. He said he was 37A so no, he stopped short, but the next bus, 37 was headed there [by the way, this is also what Transperth told me]. About 10 minutes later, I was seated on bus 37, having paid the driver $4.20 for a ticket, on my way to the Perth Domestic Airport. There is no real public transportation to the international terminals and in fact, the domestic and international terminals are not together. So, you take a bus to the domestic part of the airport and then hop on a free shuttle to the international terminals. A little while later, I was seated in a chair at the Perth International Airport, international terminals, filling out my proper paperwork. Cheers, Australia and thanks for a fantastic time! Now it’s off to Bali, Indonesia! 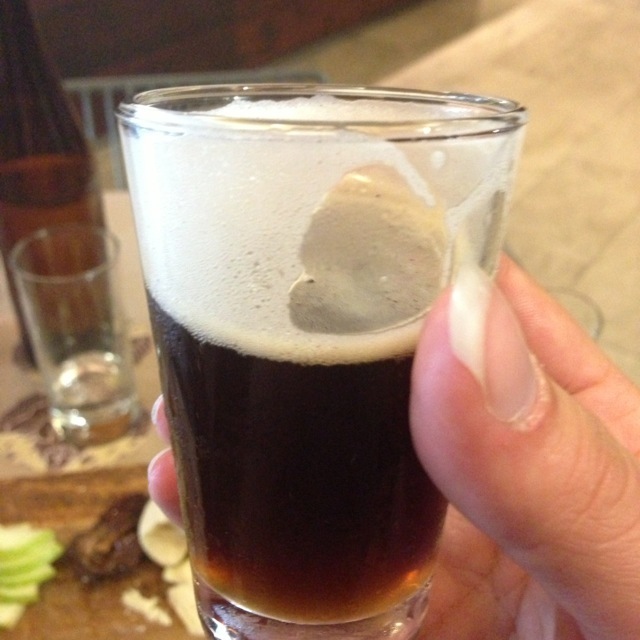 For those of you who don’t like beer, I apologize because that’s what this post is about… more specifically The Monk Brewery & Kitchen in Fremantle, Western Australia. For those of you who like beer, you’ve come to the right post. Prepare to be in awe! 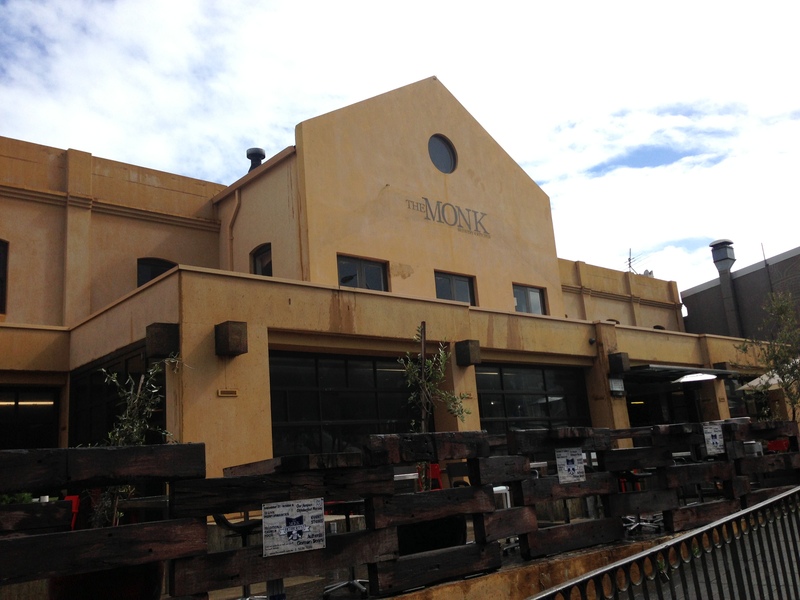 The Monk opened in April 2010 in downtown Fremantle. It is a large tan-brown building that is partially constructed with recycled wood from an old railway line. Pretty cool right? 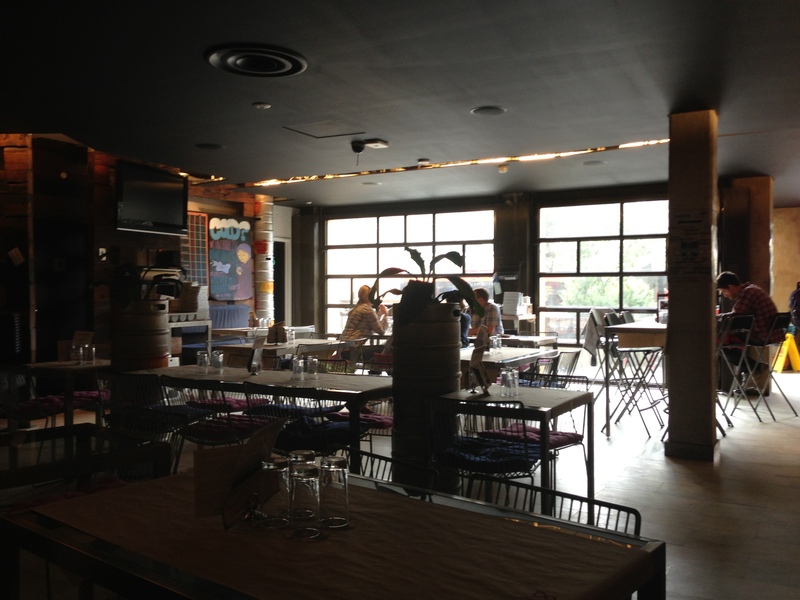 It has a number of tables outdoors and the inside is open and welcoming. The tables surround the bar area which has fermentation tanks in the center that you can see through glass windows. Depending on your seat, you can also watch as the chefs work their magic. I didn’t know a lot about The Monk when I showed up at its door. I just new that it was local and I love local. So, I picked out my seat and great server came over and welcomed me, offering me a menu that had a number of delicious sounding dishes as well as a number of beers. After a quick scan of the menu, I knew what I wanted: the sampler. A tray of all seven “everyday” beers plus a seasonal specialty. The beer in season now: The Bounty [an American Style Stout with Toasted Coconut]. Awesome. The eight beers that came out to me were beautifully lined up in an antique-y looking wooden cutting board. That’s honestly, the best way to describe it– it was awesome and it made me want to ask if I could purchase one right then and there. I also wanted something to snack on, as I hadn’t had anything else except my coffee. I ordered a cheese plate. The description said “Our rauch beer is blended with Capel cheddar, celery salt, and mustard. Sides of bacon crisps, crusty bread, apple slices, and honey.” Served again on a beautiful wood tray, this dish was better than I had hoped for… a giant chunk of cheese. I was a bit skeptical of the honey, but it really brought out the flavors. 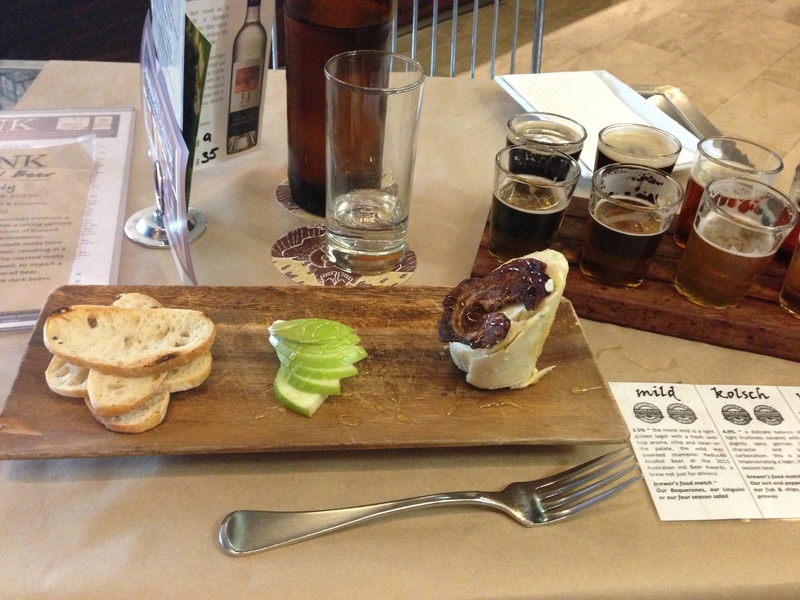 I posted pictures of the beer sampler and the cheese plate below. YUM. Mild: 3.5%ABV. European Low Alcohol Lager or Leichtbier. It is similar to a Pilsner but has a very low alcohol content, so many people who will need to drive drink it. It is made with Saaz hops, hops that hail from New Zealand and offer a light lemon citrus flavor to the beer. It has a very light hoppy taste. Kolsch: 4.9%ABV. Lightly fruity, dry finish. It is in a way similar to a lager but is probably more related to a German Pale Ale. I would say it’s similar to Heineken but with more of a fruity undertone. Pale: 5%ABV. This was not at all like an American Style Pale. It falls under a more recent category of Australian Pale Ales [apparently newer over the last 5-10 years]. It was actually created by the brewer as a project for the University he was attending. It sold out in the University’s tavern and is The Monk’s best selling beer. A very light fruity hint without the harsh bitterness of American Pale Ale. Rauch: 5.3%ABV. This beer has a dark red color and it tastes and smells like smoked bacon. Seriously. The smokiness is so strong through the flavor it is amazing. It is not, however, made with any bacon or other meat product. It is 100% vegan [as are all of the beers at the Monk]. Very unique and a must try. The Chief: 6.3%ABV. This beer is a traditional American Style IPA. It is very bitter and hoppy on the end. The brewer in this case does utilize American hops. 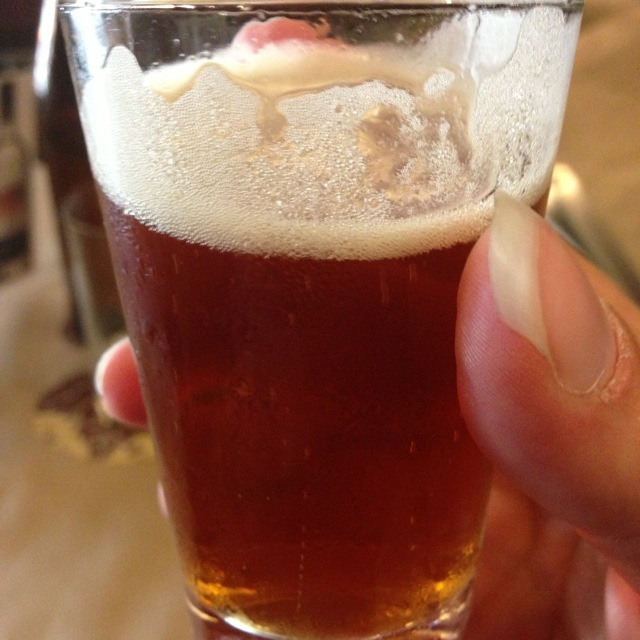 It is highly popular and has won many awards [then again every beer at The Monk seems to have one at least one award]. Porter: 4.9%ABV. This beer is known as a brown porter. It has strong coffee and chocolate flavors. When I drank it, I felt as though I were having my morning iced coffee with a bit of chocolate mixed in. YUM. I am not a huge Porter fan, but I will say that the Monk Porter is lighter than a Guinness and so if you are not a strong Porter fan, you should still try this one! The Bounty: 5.5%. This beer is a coconut stout. After fermentation, the brewers add heaps of toasted coconut. The flavor is incredible; a hint of chocolate and lot of toasted coconut. I have never tasted a beer like it and has definitely blown me away. 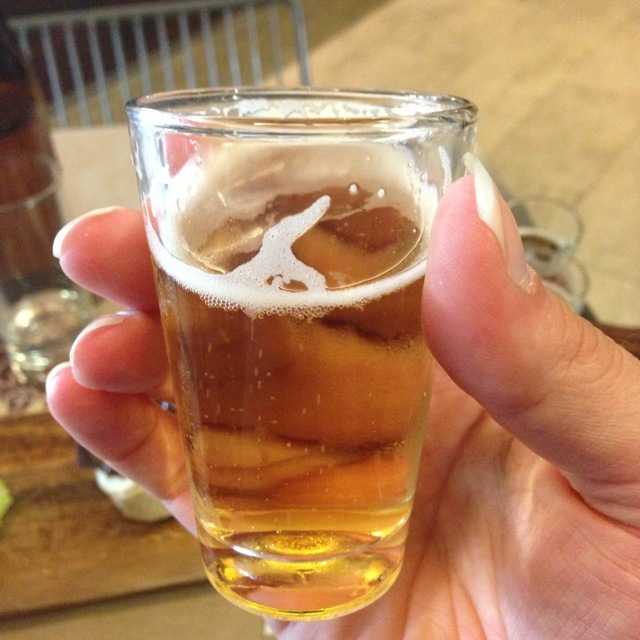 It doesn’t matter what type of beer drinker you are [and even if you’re not], try this beer! All in all, every beer at The Monk was fantastic. The range of flavors and colors was impressive and I had a hard time deciding which type I liked the most. After much consideration, I choose The Bounty as the winner. As I mentioned above, a truly unique taste. 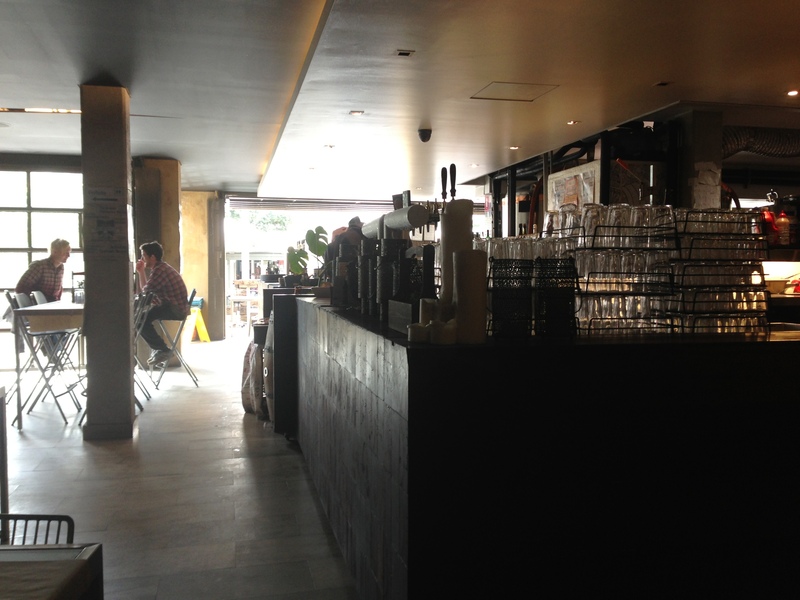 I highly recommend The Monk to anyone in the Fremantle area hoping to try some great local brews. Great atmosphere, lovely people, and delicious food and beer! 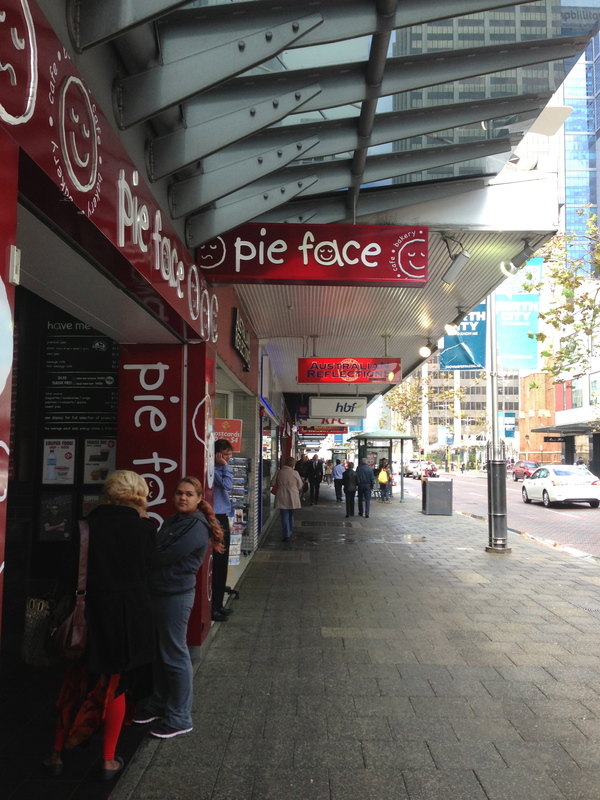 I made my way the short distance to the train station, stopping off at “Pie Face” for a nice strong coffee. They let you decide how badly you need to be woken up– “kick in the arse” seemed about right to me. This little coffee shop also has a number of, you guessed it, pies. Most of them are savory pies, which I just can’t get into to… but i know they’re huge in England and also in Aussie. I just can’t do it. If you like them though, there are a wide range of options and as the commercials on TV have let me know– they’re now also served at KFC. Anyway, I headed off to the Perth Underground Train Station. Remember how I talked about how awesome the Australia public transportation system is because it’s so intuitive and provides all of your options right in front of you? Apparently that’s not the case throughout Australia. Luckily, I had looked up my journey online before heading to the train station- something that I would highly recommend for anyone traveling around Perth. Transperth is a fantastic website with a journey planner that also says how much it will cost and how many zones you will be traveling in. Prices are assigned based on the number of zones you’ll be traveling and for a period of time you may travel on any public transportation within the paid for zones [ferry, bus, train]. Anyway, I knew that to travel from Perth City Center to Fremantle, it would cost me $4.20 and I would be traveling 2 zones. I walked up to a self serve ticket machine and entered “adult” and “2 zones”. A little screen popped up reading “$4.20”. I went ahead and added the money and received a tiny little “ticket” which was more of a small piece of paper that said “2 zones” good until “1:30PM”. I headed towards the trains and bypassed the ticket stalls [only for folks using a smart rider card- similar to a Smart Trip card in DC or other sort of frequent rider card in other cities]. There was a guard who took a look at my ticket and pointed me in the right direction- Platform 7 for Fremantle. I made my way through an old building under construction and across the train tracks to my platform. About 5 minutes later, the train pulled up and everyone piled on– there was still enough room to sit which I was thankful for since the ride was supposed to be 35 minutes or so. As we got closer to Fremantle, I looked out the window and was delighted to see water. I was already happier than I was in central Perth. I also saw a lack of high rise buildings which made me even happier. Cities are fine, but give me the coast and the country any day. When I disembarked in Fremantle and walked out onto the street, I knew I was in the right place. 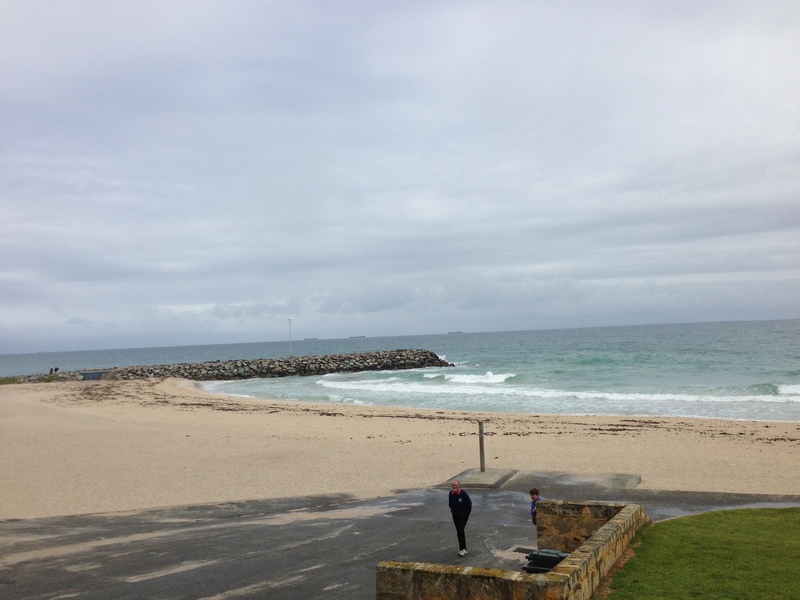 Fremantle, or Freo, as the majority call it is awesome. 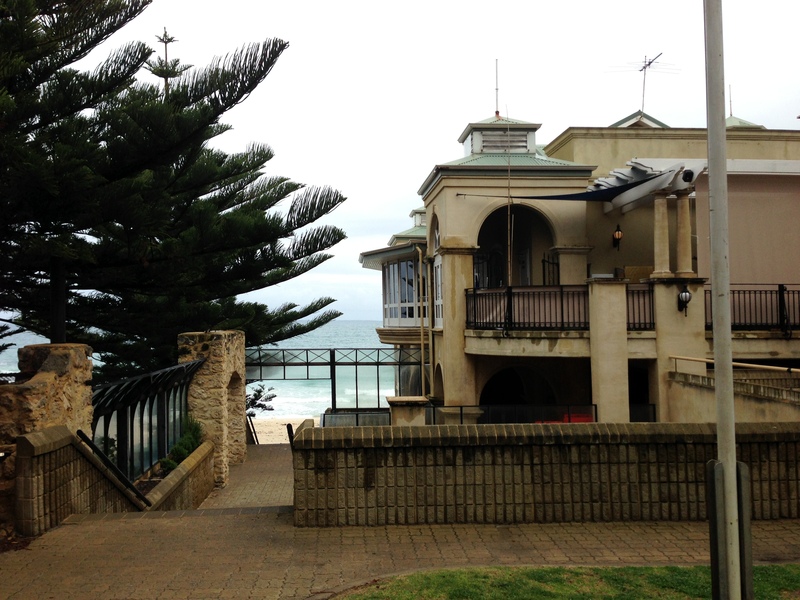 Seaside town, small shops, good microbrewery, parks, access to ferries and trains. Just awesome. 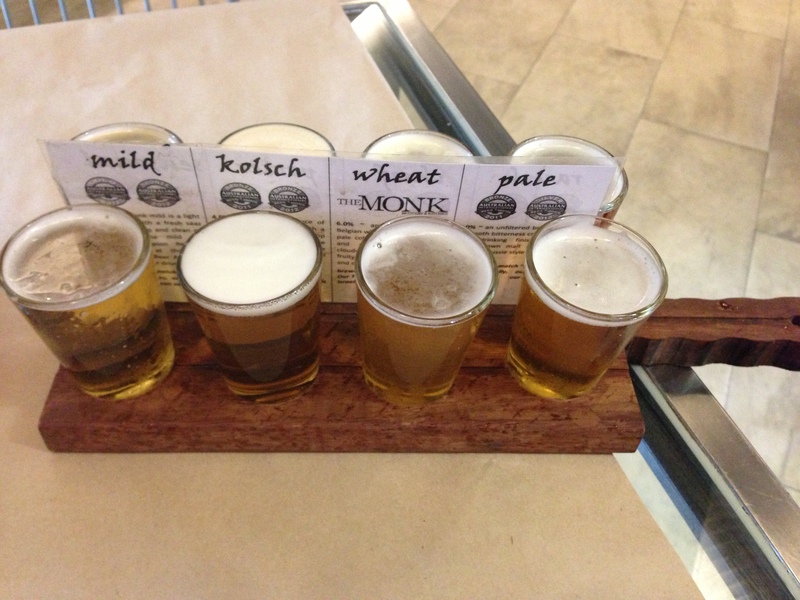 Since I had some free time until I had to check into my new hotel, I decided to try out one of the breweries that I had read about the previous evening– The Monk Brewery and Kitchen. The Monk Brewery and Kitchen was fantastic. Just such a cool place. I giant building on the main street of Freo. And that my friends, is a story for the next post! The New Esplanade: Stay Away! Just a short post here. I had booked a hotel in Perth through bookingbuddy.com about two months ago. The hotel was called “The New Esplanade”. It had some decent reviews on some site I saw and it wasn’t as expensive as the other options in the Perth area. So, I booked it. Terrible awful choice. The lobby is nice and the location was supposed to be awesome– overlooking a park and the Swan River. 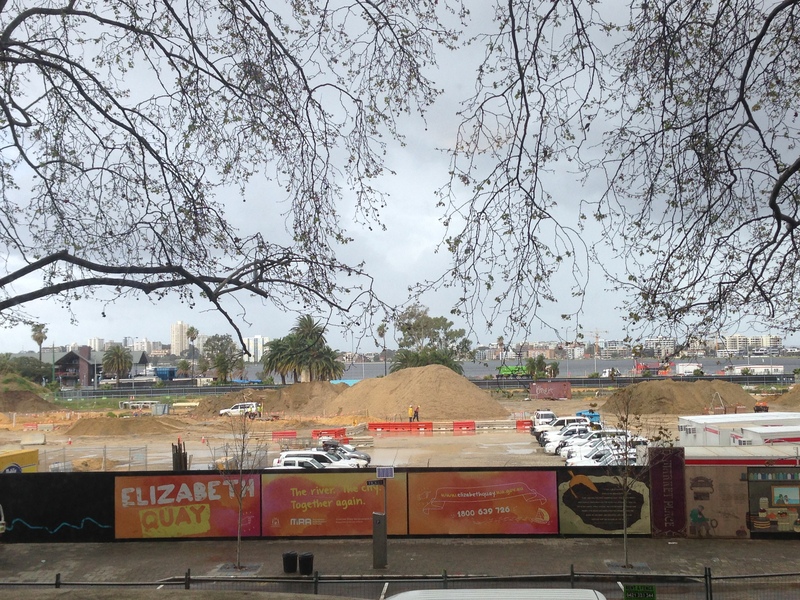 What the website fails to tell you is that the park is completely ripped up and full of piles of dirt and bulldozers. Second, there is not a single picture/mirror/decoration/etc on ANY of the walls outside of the lobby. I don’t consider myself to be someone with high hotel standards and I’m merely pointing out the decorationless state of the hotel as the cherry on top of the problems. I mean, the room was about $140/night, so shouldn’t they have something on the walls? I know I could have booked a hostel, but I needed a strong internet connection because I have work work and school work to do and most hostels only have an internet cafe that has set hours. Next, the room. The door was beat up, the lock was minimal and there were signs everywhere in the room saying that possessions should be locked in the safe at reception.The carpet was dirty, the walls were stained, the shower curtain was brown, the mattress must have been from 100 years ago, and the room was musty. But, with all of that, I could have still sucked it up…EXCEPT. The walls are super thin and the guy in the room next to me was smoking like a chimney. All of the smoke was seeping into my room through a door that joined our rooms… and the door didn’t lock. So, I put a chair against it and tried to keep the tears in my eyes from smoke stinging at bay. Sigh. I was very unhappy. I was paying entirely too much for the conditions of the room. So, I did a nice little google search and less than 10 minutes later I had found a room in Fremantle where I had planned on going tomorrow anyway and booked it. I spent a horrible night in The New Esplanade before running far and fast to get away! Now that I’ve blogged my way from Sydney to Perth via the Indian Pacific Railway, I thought I’d provide a summary review of the trip. Three nights and three and some days. 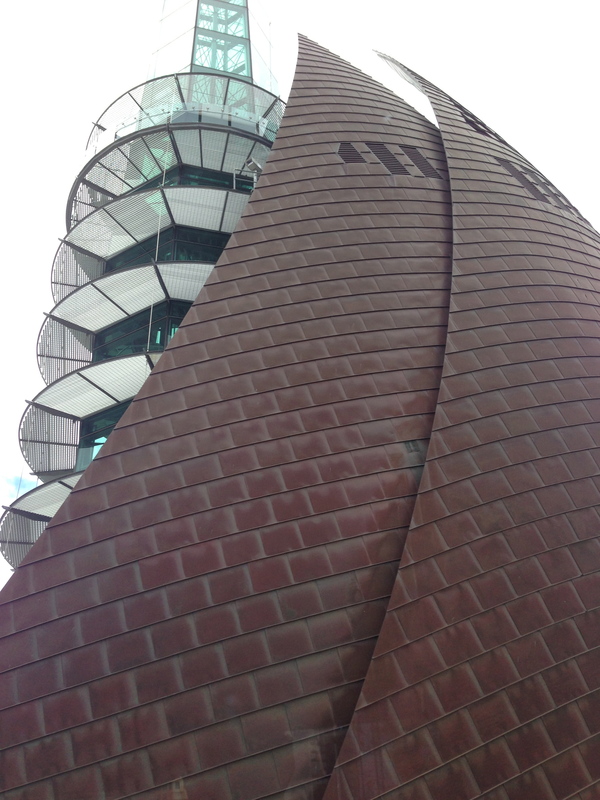 I departed on Saturday at 2:55PM from Sydney and arrived in Perth at 9:10AM on Tuesday. The trip set me back about $1200. It was expensive. In retrospect, however, trying to drive across Australia would have taken longer and probably cost just as much when you factor in the car hire, the fuel, the food, and lodging. Which service did you take? I opted for the Gold Service. Platinum service was not offered and I really don’t think it would have been necessary. Red service provided chairs only or chairs that reclined, however they were in general cars. Red service is obviously cheaper, but does not include privacy, drinks, meals, or off train tours. What is included in gold service? I purchased a single gold cabin. I have a cabin with a chair and footrest, a large picture window, a trash can, a mini closet, a speaker system that plays music or the history of the areas we are passing [there are 6 channels], a small vanity, and a sink. In the evenings, my chair turned down a bed comes down from the wall. There are bathrooms and showers a few doors down from my room. Gold service also includes all drinks [non-alcoholic as well as about 20 wines, 8 beers, and hard liquor] as well as all meals. I also have access to a lounge car and a bar for Gold patrons. Finally, gold service includes off train excursions in the towns where the train stops; these include: Broken Hill, Adelaide, Cook, and Kalgoorlie. The meals were delicious. Breakfast was a two course meal and lunches and dinners were three course meals. Menus changed each day according to the area we were passing through in an effort for folks to try out more “local” dishes. Vegetarian options were always offered. Seafood and lamb seemed to be plentiful. You have set eating times that are scheduled via your car attendant. You show up to the lounge around your eating time and you can relax with a drink before the host will come get you [typically in groups of 4] and seat you. The tours were nice. It was great to just jump off the train and get whisked away by a professional tour guide who could talk about the history of the town and point out the various areas of interest. Most of the stopovers are very brief, so don’t expect a ton. However, as someone who was simply interested in a quick info session, it worked well. What is the age group on the train? The majority of the folks on the train range from probably early 50s and up. I was actually surprised that there were not younger people, but from what I gather, most backpackers travel in Red Service. The dress on the train is “nice and neat”, I would say. I felt a bit underdressed some days and right at home other days. Because I was traveling to Indonesia after and going to be biking, I packed really lightly, so I didn’t have many options with me. I would suggest jeans, capris, or other pants with a nice top for girls and jeans or khakis with a button down or polo for guys. Like I said, not everyone was dressed this way, but it seemed to be the normal. Shoes- I haven’t really noticed. I brought a simple pair of sandals [not flip flops] and wore them for every meal. Can you fly into Sydney and take the train on the same day? It depends. I landed in Sydney at 6:30AM or so on Saturday morning. In the winter season, the Indian Pacific runs twice a week; departing once on Wednesday and once on Saturday [so I lucked out]. The train departed Central Station at 2:55PM. I had plenty of time between my flight and the train departure; I even had time to talk to the Sydney Opera House and grab lunch. I also made sure to check out the train station and figure out where I was going to have to be to board beforehand. That helped a lot. Is it easy to get from the Sydney International Airport to the Train Station? Yes. Definitely. See my earlier post on the Sydney Public Transportation Train. It costs about $16AUD to go from the airport to the train station. Indian Pacific is stationed at Central Station; a great location because every train line in the city goes through Central, so no matter where you are, you can easily get to Central Station. 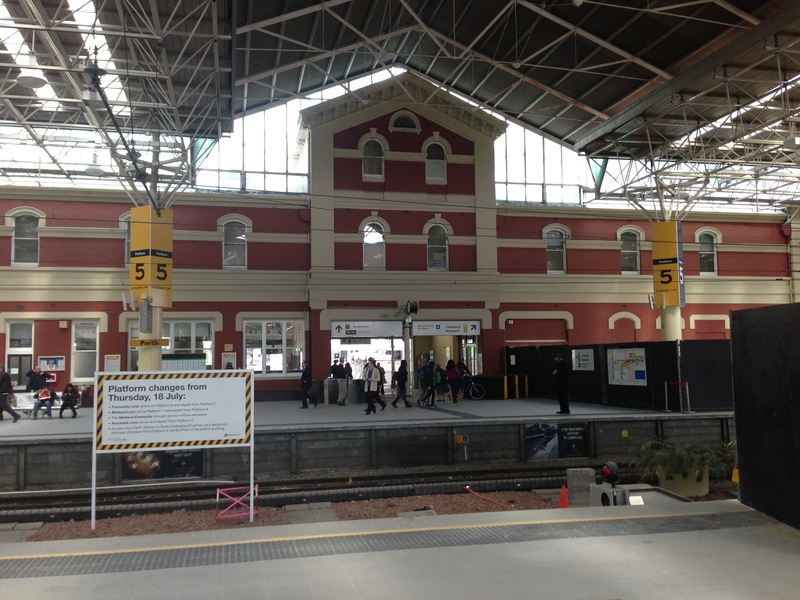 Central Station is about a 10-minute train ride from the Sydney International Airport. If you have questions, ask an Aussie- they’re really helpful and friendly! How about outlets, Internet, and cell service? There are outlets in your cabin. Make sure you have an international plug to use with the outlet [110 volts]. There is no Internet service on the train; sorry! Cell service was decent for most of the trip, except when we hit the desert on the third day. My advice: don’t stress it. Relax, put your feet up, and enjoy the ride. Have other questions? Feel free to ask and I’m happy to answer. It was a great time and I would honestly rank it about 4.75 stars out of 5. I think it would be nice to have lunch in my cabin sometimes [you can do this with Platinum service], but it was nice to meet new people and have a nice chat. Also, please note that there are cabins that sleep more than one person, I was just traveling by myself, so I took advantage of the single cabin. The larger cabins look very nice as well and everyone I talked to enjoyed them quite a bit! This morning came far too quickly for my liking :). Add on top of that my phone ringing at 2:00AM because folks back in the states didn’t add up the time change and you get a long night. Either way, my bed was still super comfy and I was sad to be saying so long to it. I woke up in time to watch the sunrise over the pretty countryside. I blindly worked to wash my face, put in my contacts, and brush my teeth so that I could make my way to breakfast. I apparently did this so blindly that I ended up brushing my teeth with Athlete’s Foot Cream… [I had packed it just in case]. YUCK. I couldn’t understand why my toothpaste was so nasty… well because I was brushing my teeth with a cream made for your toes…for fungus. Awesome. After some heavy duty cleaning, coughing, and spitting, I walked my way down to the lounge car, which was already bustling with people ready for their last meal aboard the Indian Pacific. I met up with the botanist couple from the evening before and we sat down to breakfast. My last two course breakfast on the train! So sad! This morning I dined on coffee, apple juice, water, scrambled eggs, a button mushroom, and a grilled tomato. Whereas yesterday I had the fresh fruit [melons and currants], this morning I opted for the other “breakfast starter”: Wild Peach Parfait. YUM. Wild peaches, vanilla yogurt, granola, and passion fruit. Just delicious and perfect. 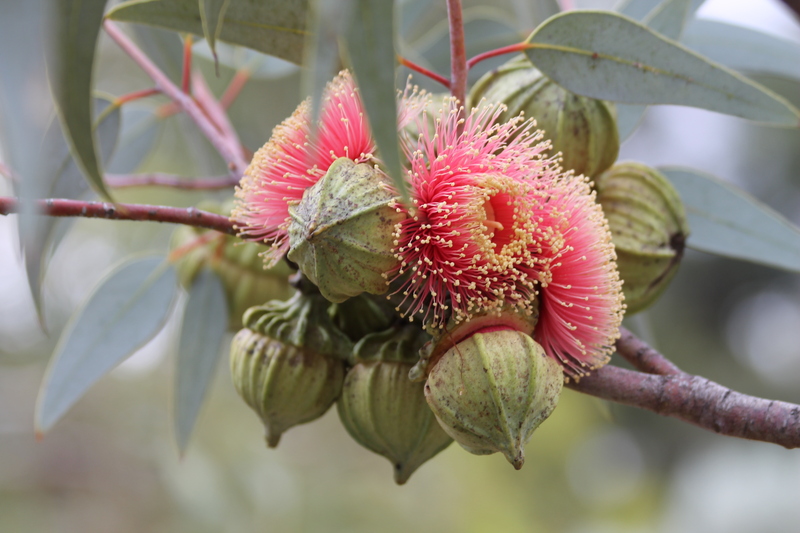 Our conversation this morning strayed to wildflowers and Eucalypts. 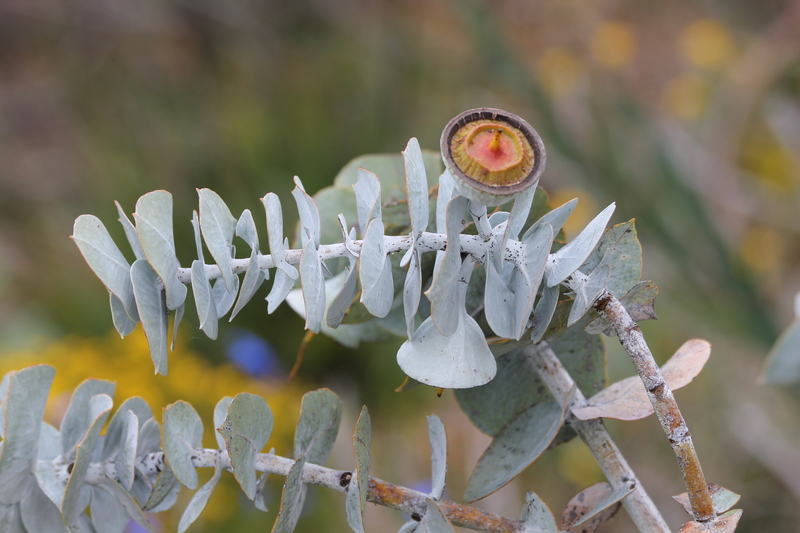 Apparently there are over 80 species of Eucalypts! Who knew? Wildflowers are huge these days because Australia has had such a wet winter. I learned that quite a few folks on the train were traveling to the west coast just for that purpose- wildflower tours. I wish I had more time, I would have gone! As it is, there is a good exhibit at Kings Park that I hope to see while I’m i the area. I headed back to my room and packed everything up. I was really sad to say goodbye to the Indian Pacific. What a fantastic trip. About 30 minutes before we pulled into Perth Station, we stopped and a quarantine inspector boarded to check out any fruits, vegetables, and/or nuts that people were transporting. They did this earlier on the train ride as well, when we crossed state borders. Pretty interesting that they watch it so closely. While I’m no the subject of agricultural products– I also had a chat with a couple about water rights and crops in Australia vs. the US as well as stormwater. They noted that it is pretty standard practice in many places to have giant “rain barrels” [they are larger than our standard rain barrels]. They were very interested in hearing about the NPS pollution world that I work in and we chatted for a long while about the pros and cons of having federal control only vs state control only vs a combination of the two. Like I said, great conversations on the train! 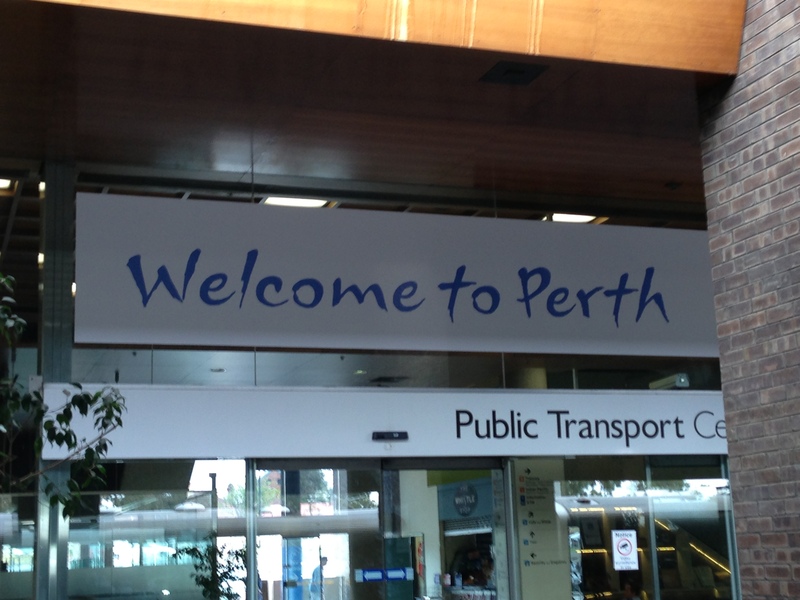 When we at last arrived in Perth, we disembarked and folks were hugging the staff. It still amazes me how close the group seemed to have become over the space of three nights on a train. Such wonderful personalities and friendly demeanors. I made my way down the platform to the tour bus that would squire a group of us around Perth before dropping us off at our hotels. The tour was great. We were driven all over the city and had a break along the way to gaze out at the Indian Ocean and to buy some delicious local ice cream. I myself chose a cone of oreo cookie dream. And oh what a dream it was! The tour also made a stop at Kings Park [a huge park in downtown Perth that is the largest inner city park in the world]. Unfortunately, rain kept us from doing much exploring in the park. We also drove by millionaire’s row, a group of homes along the Swan River that were just absolutely gorgeous [as you’d imagine with a name like that]. After a delightful afternoon of seeing the sights, the tour driver dropped each of us off at our hotels. I was ready for a snooze!